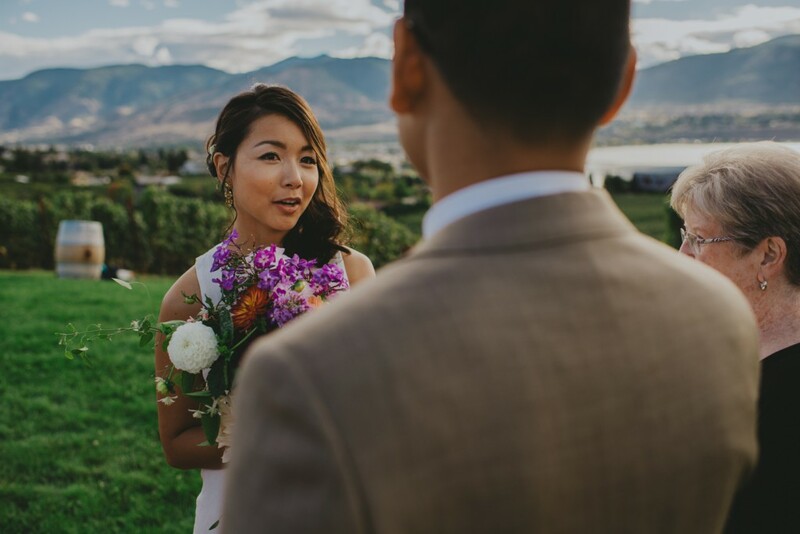 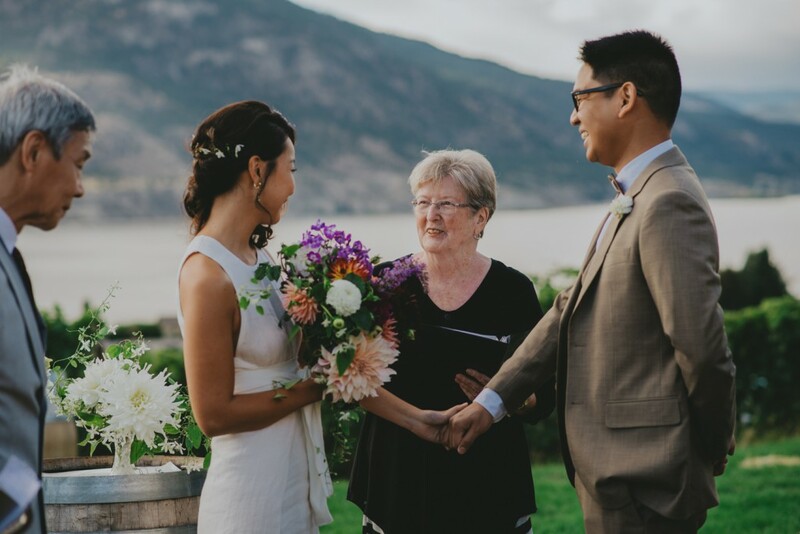 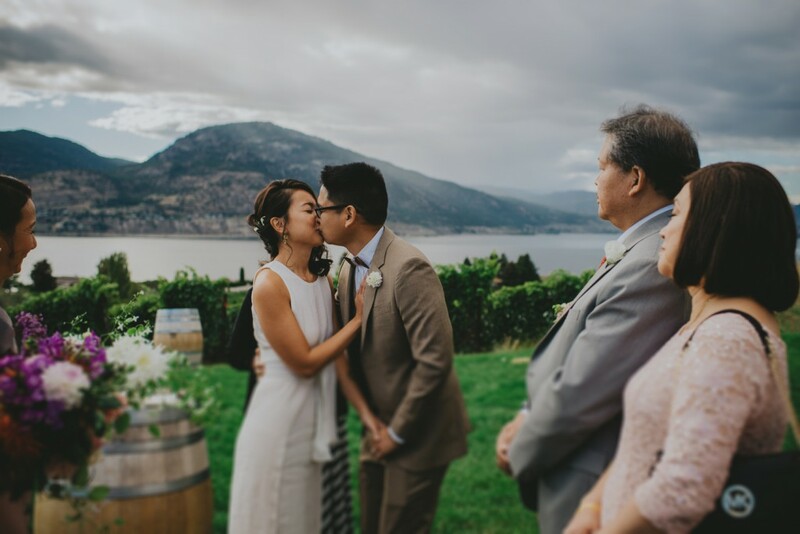 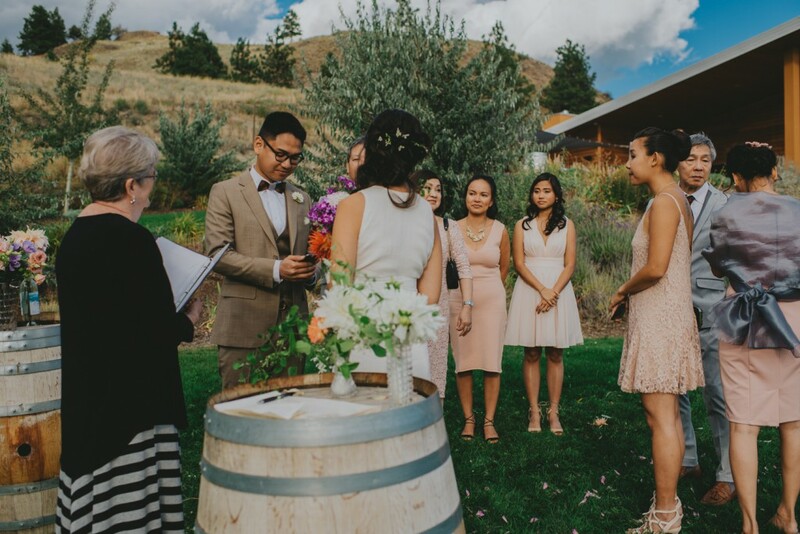 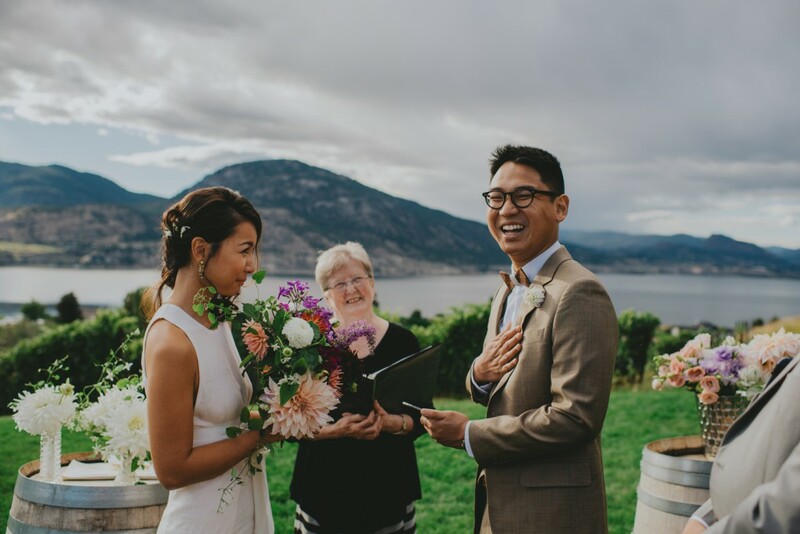 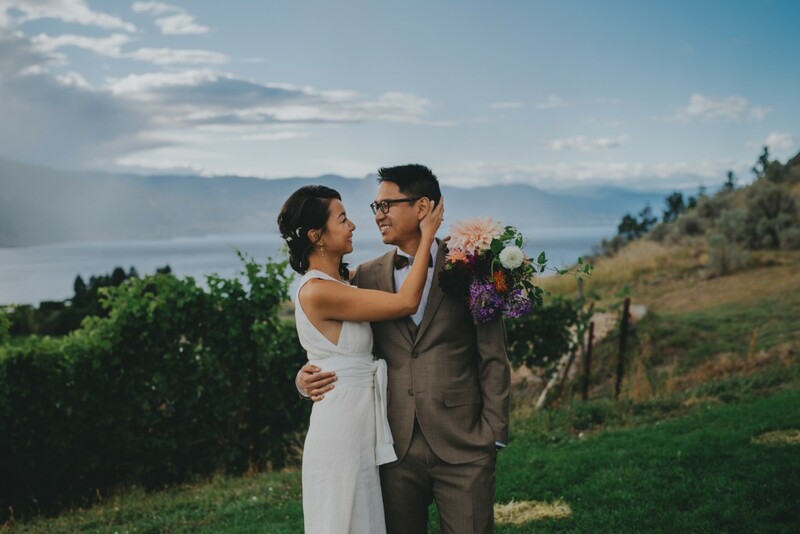 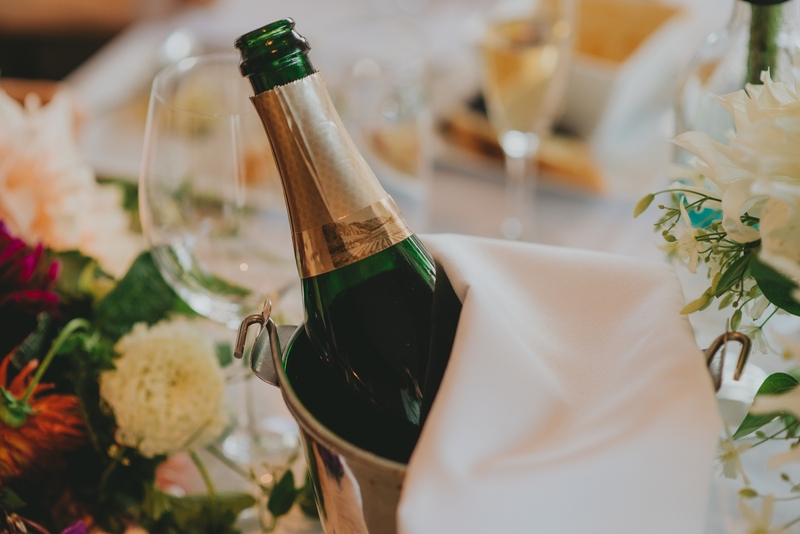 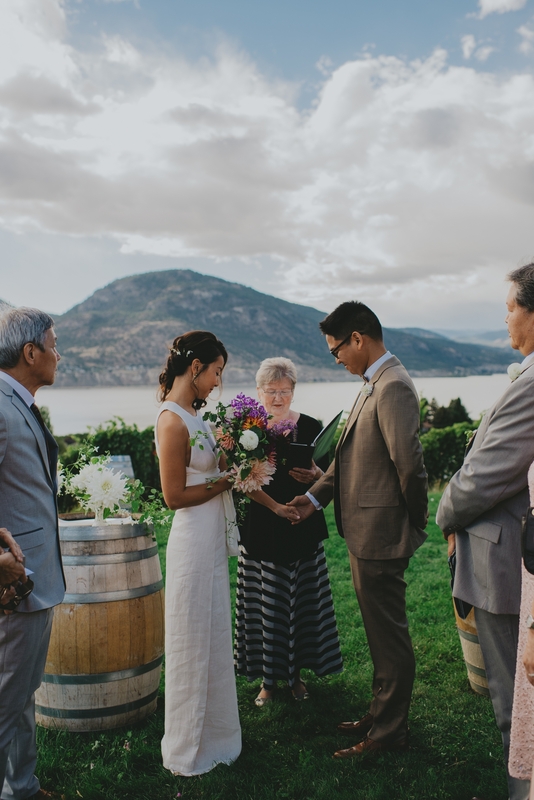 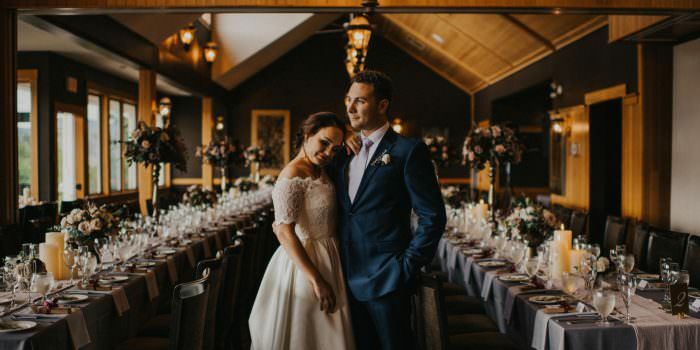 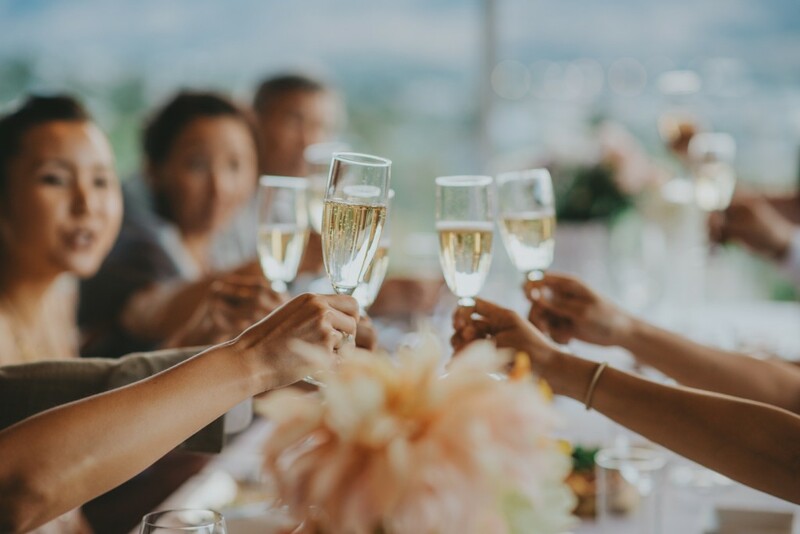 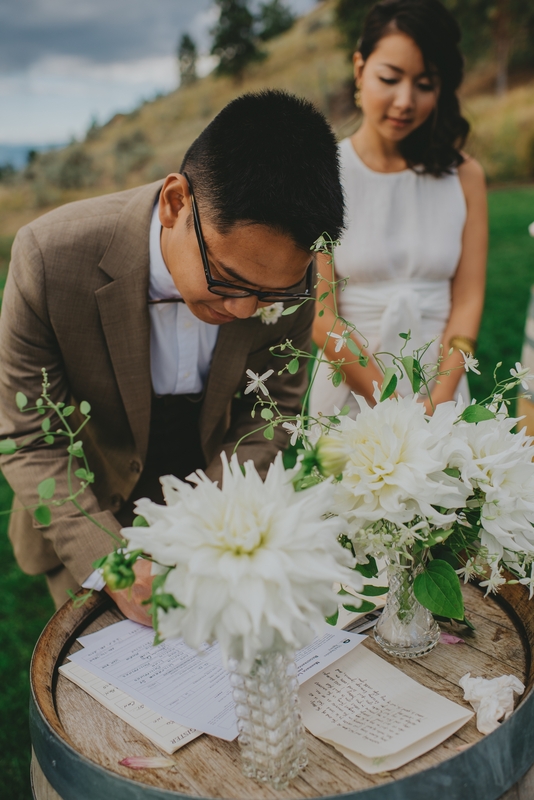 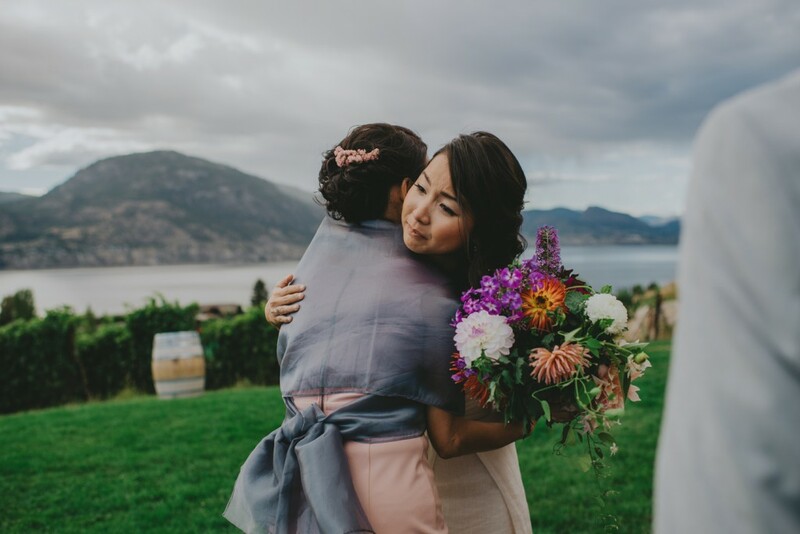 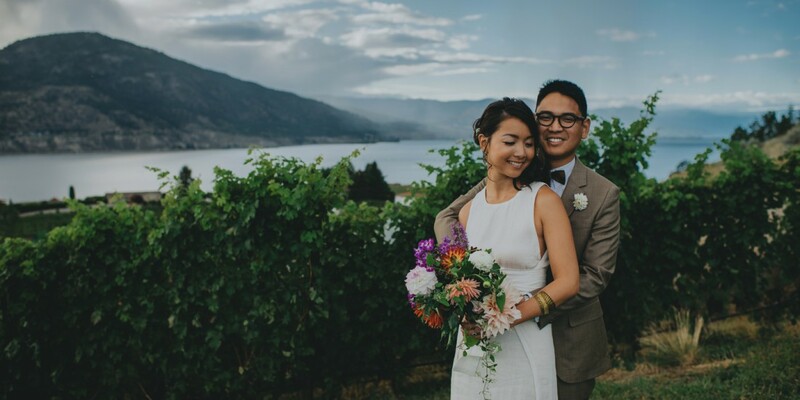 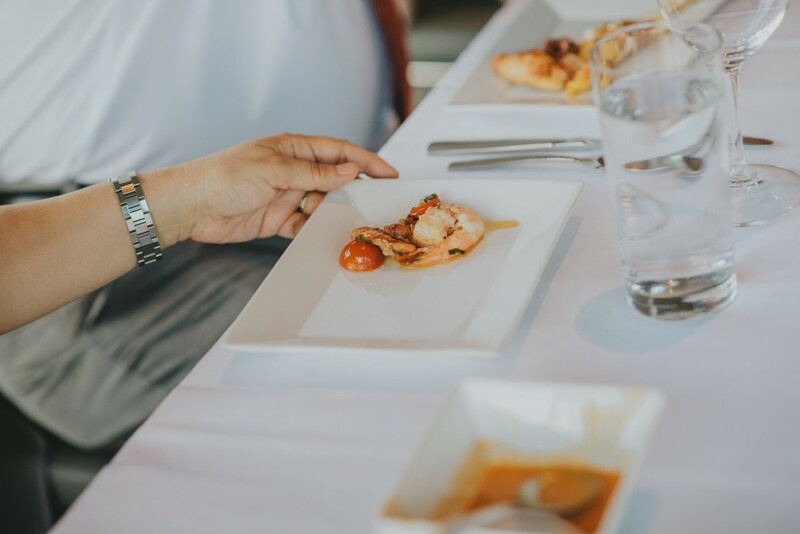 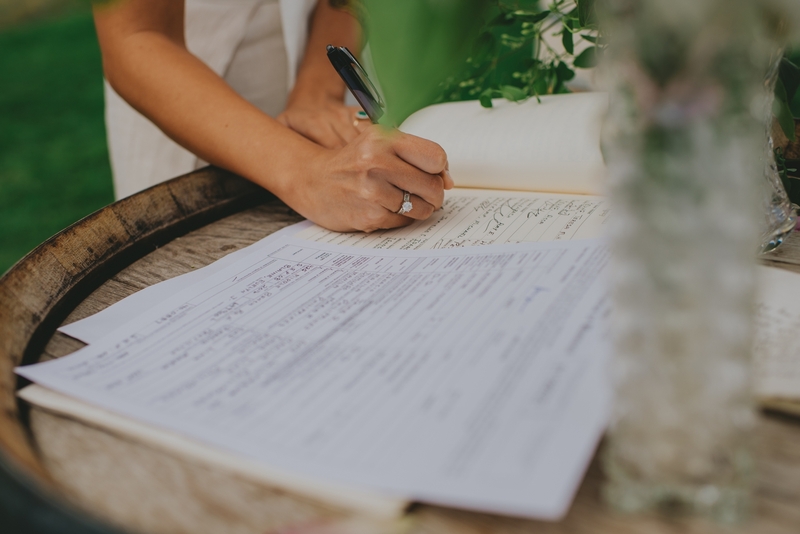 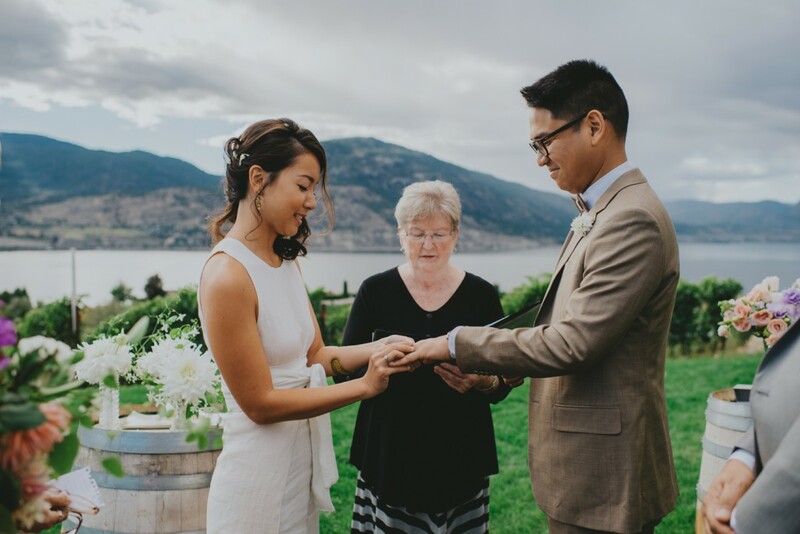 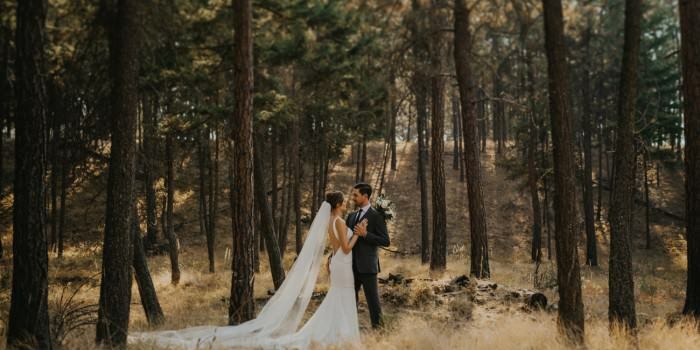 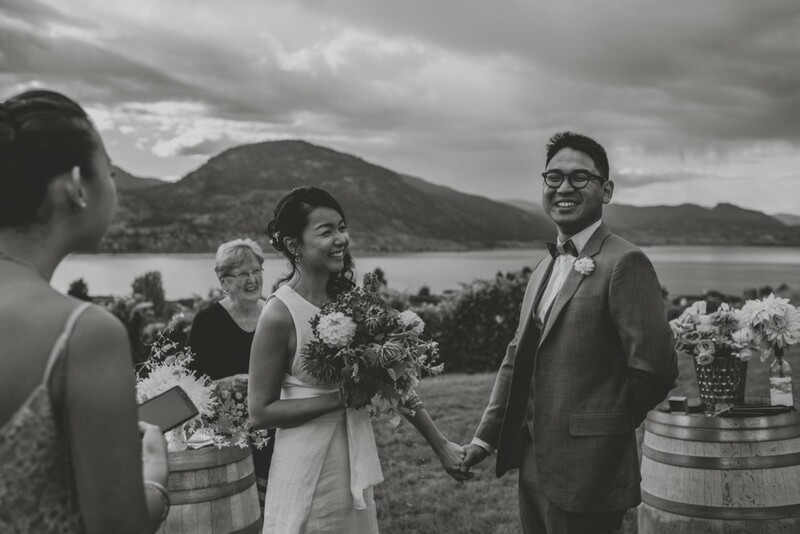 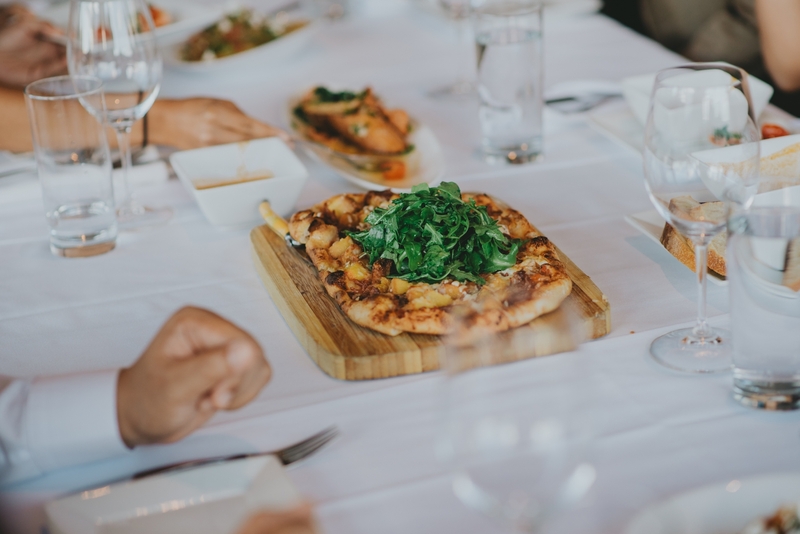 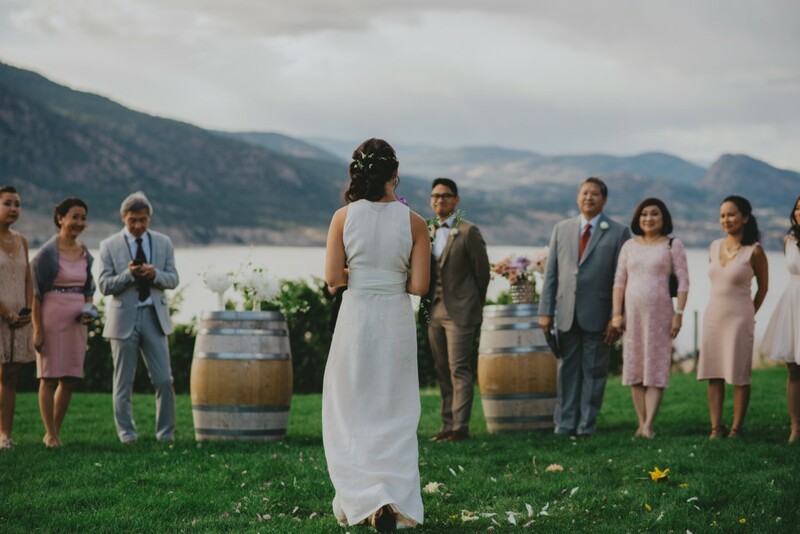 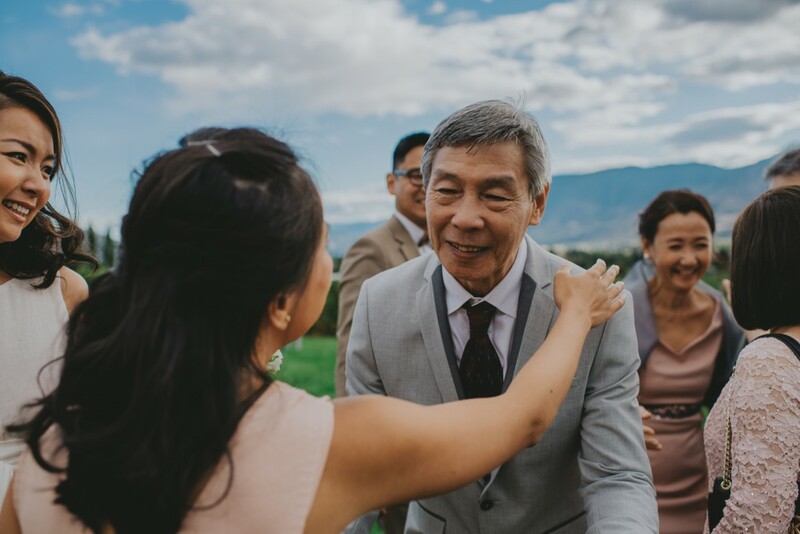 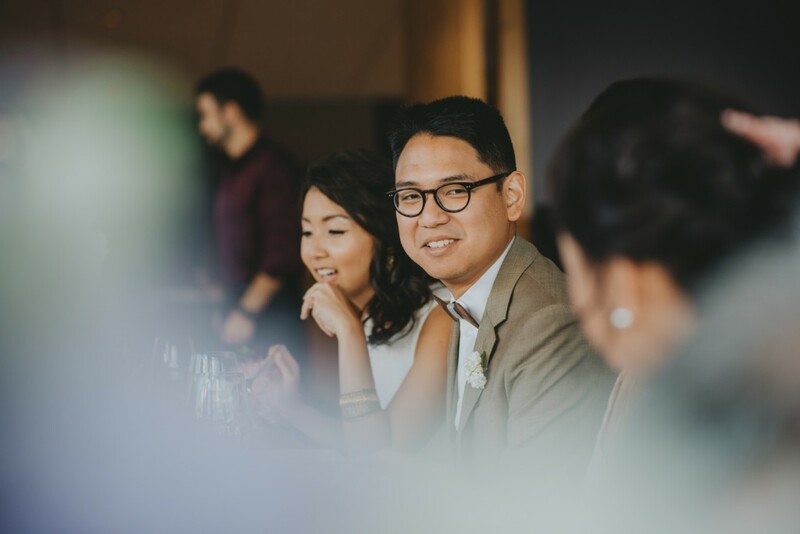 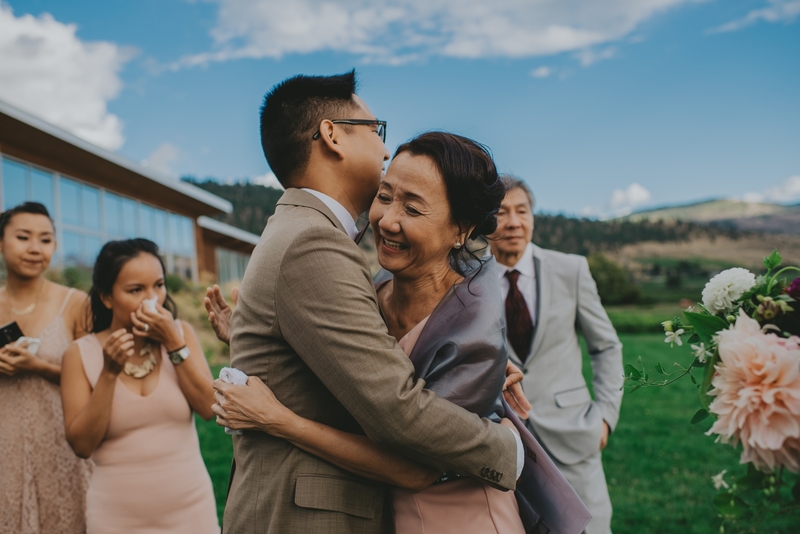 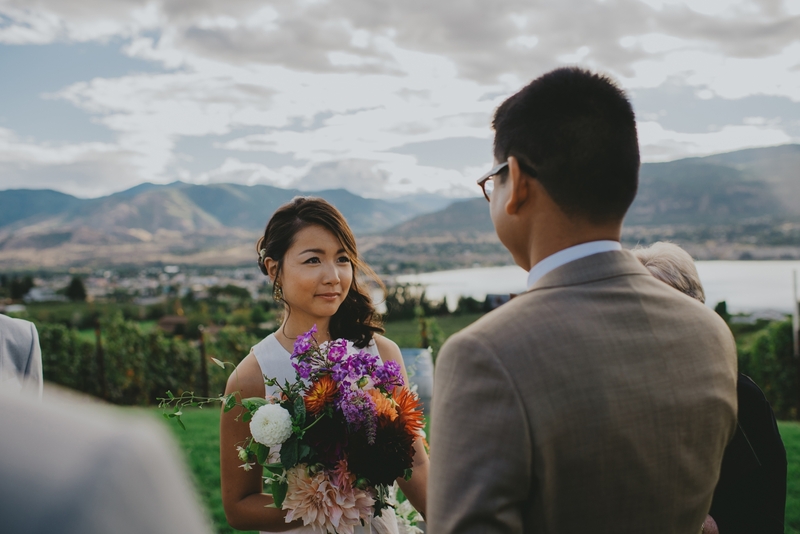 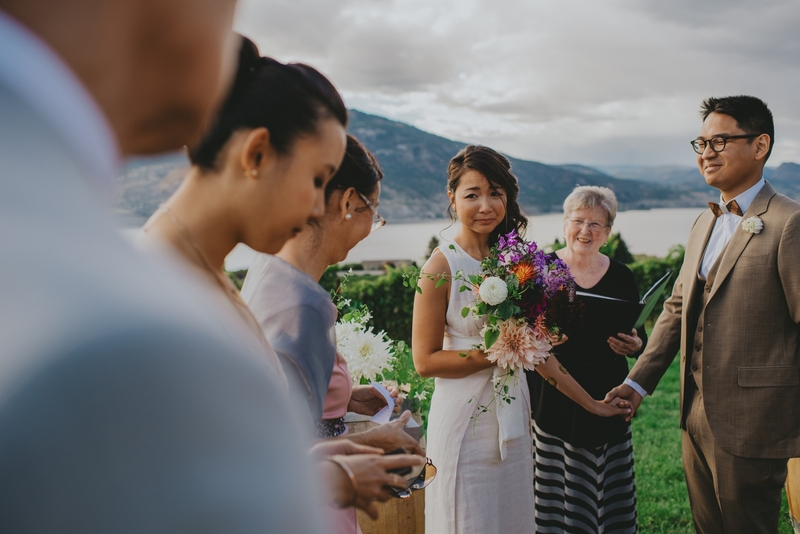 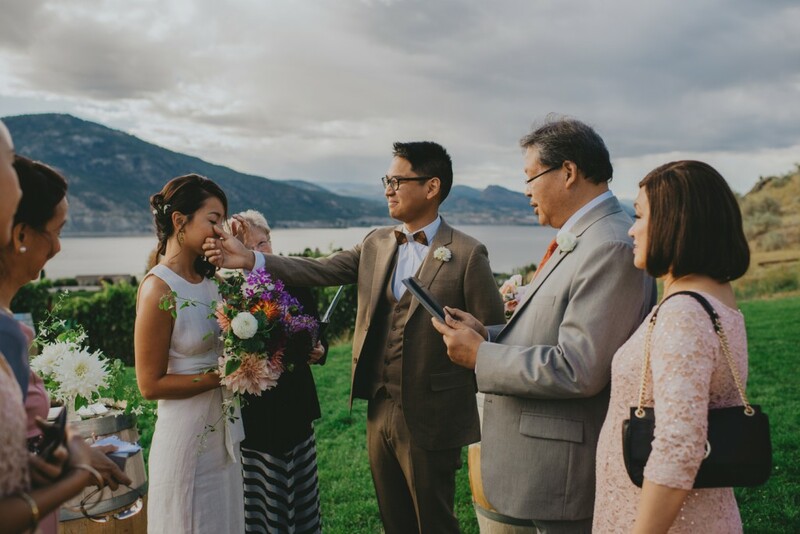 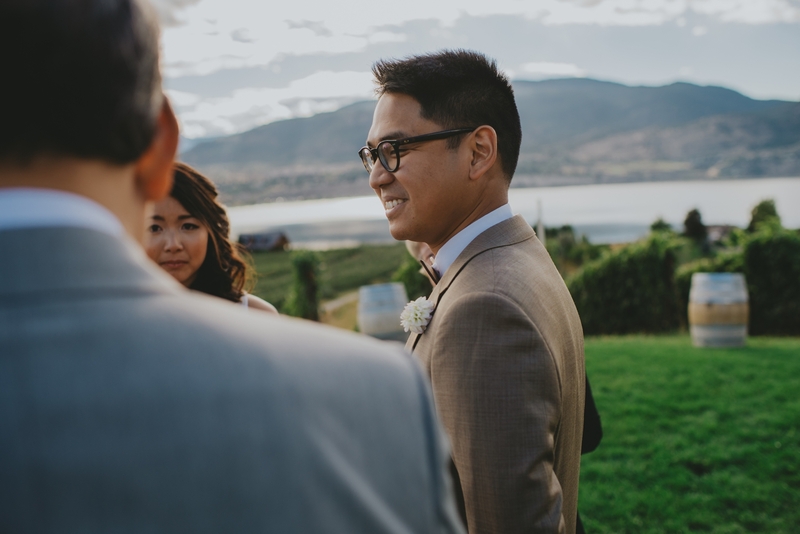 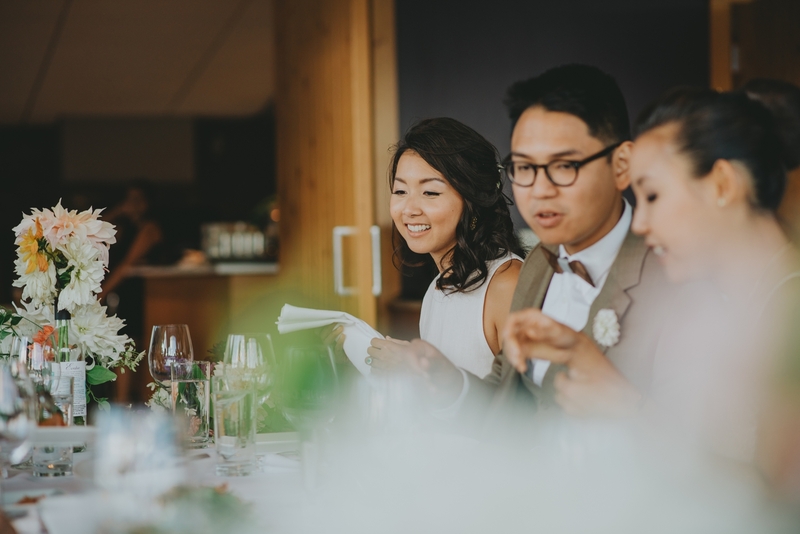 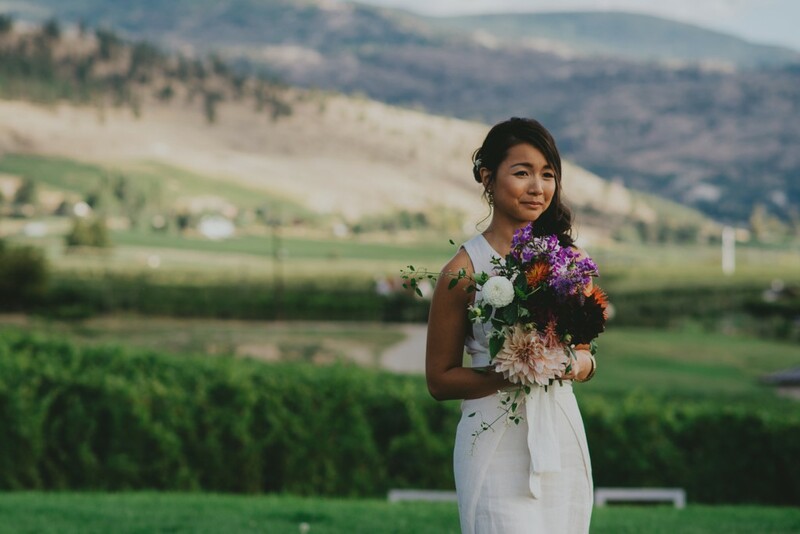 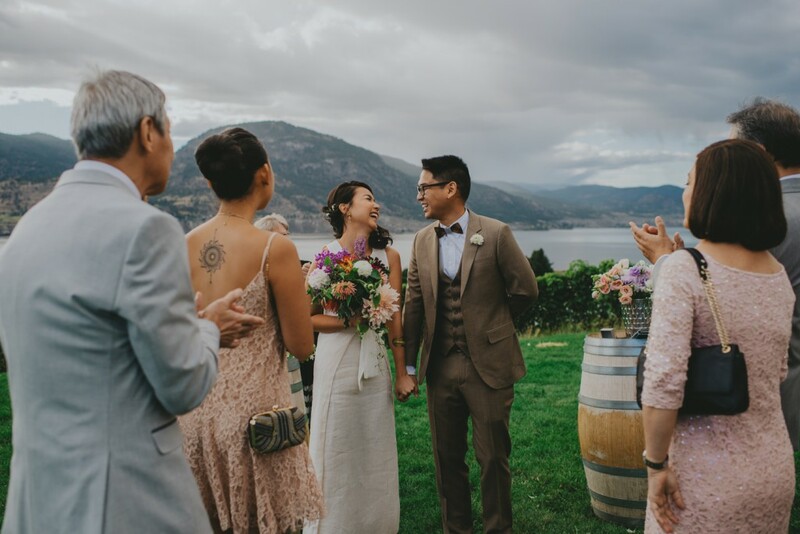 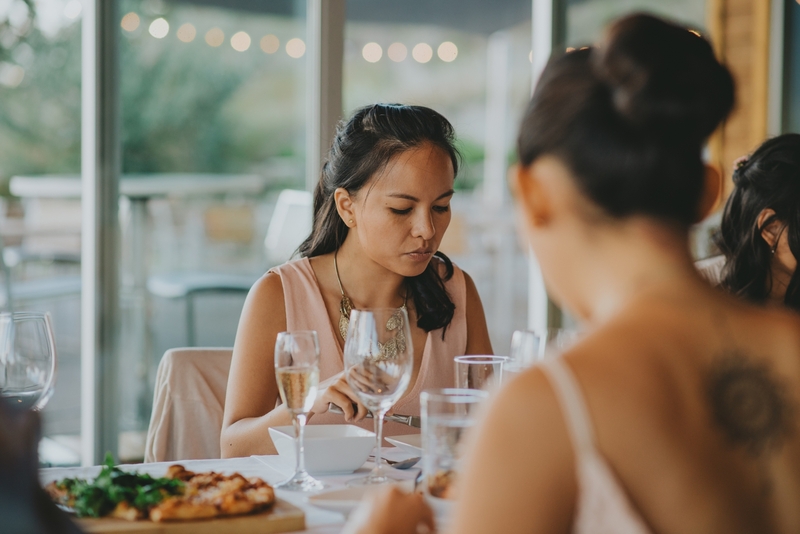 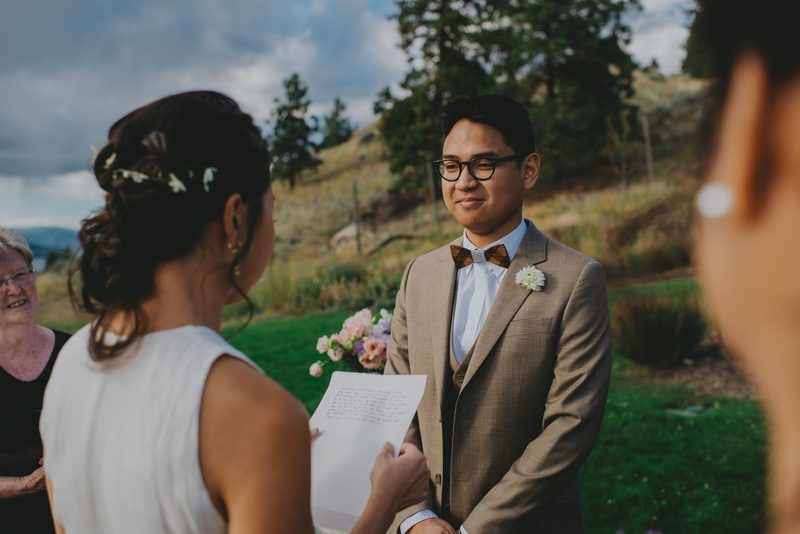 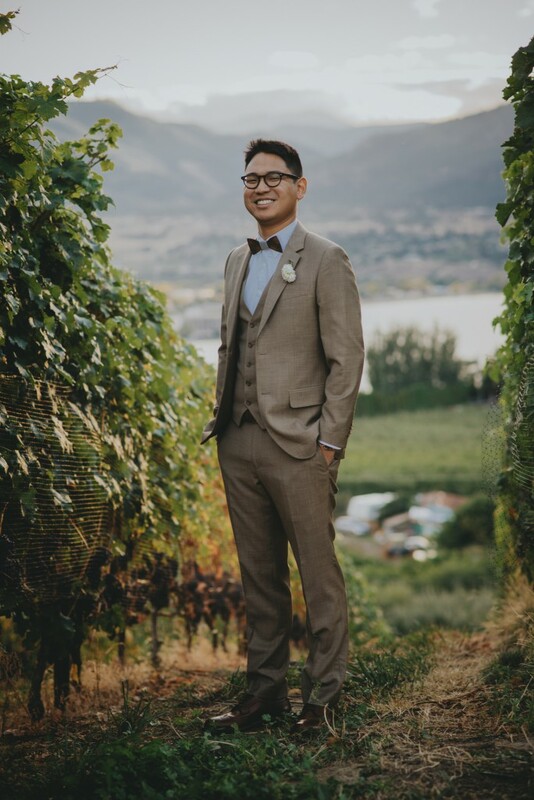 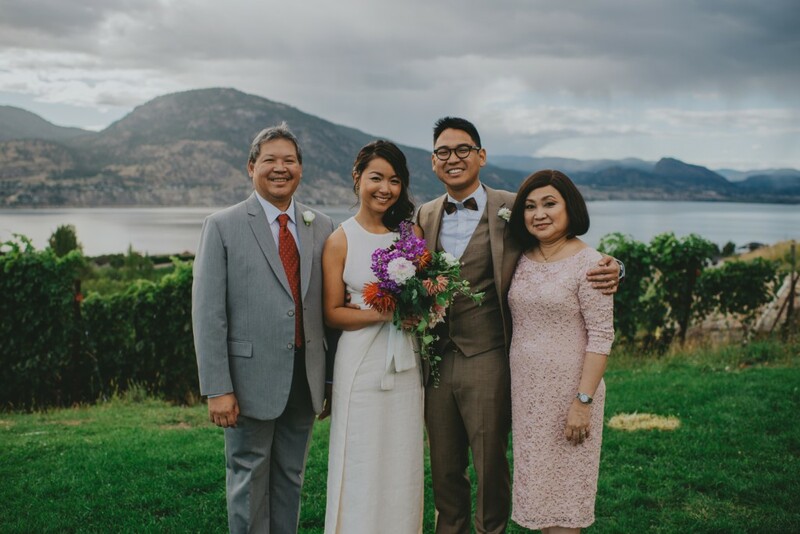 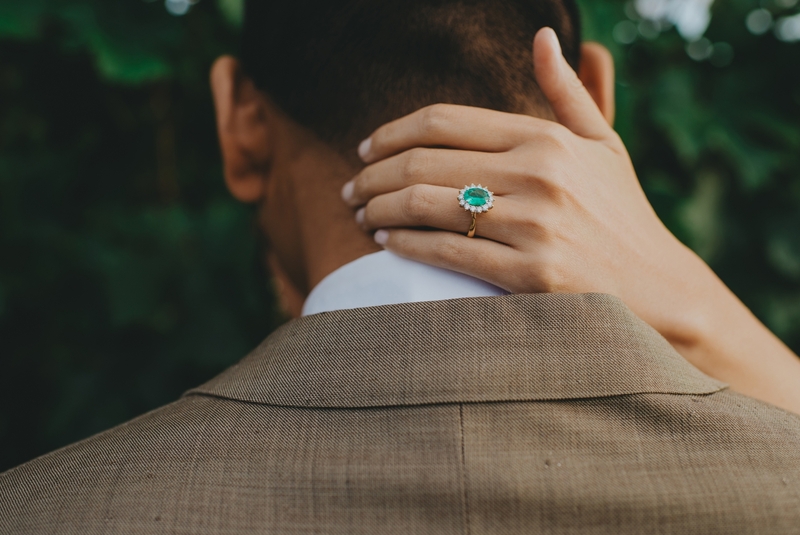 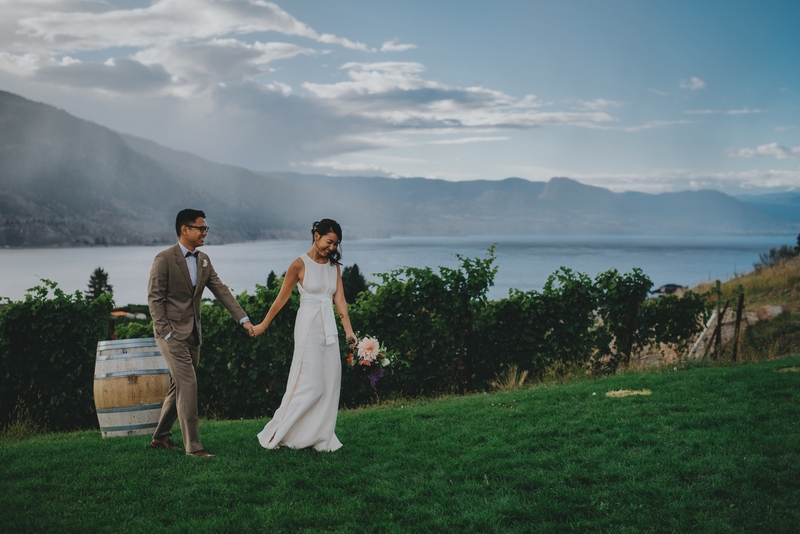 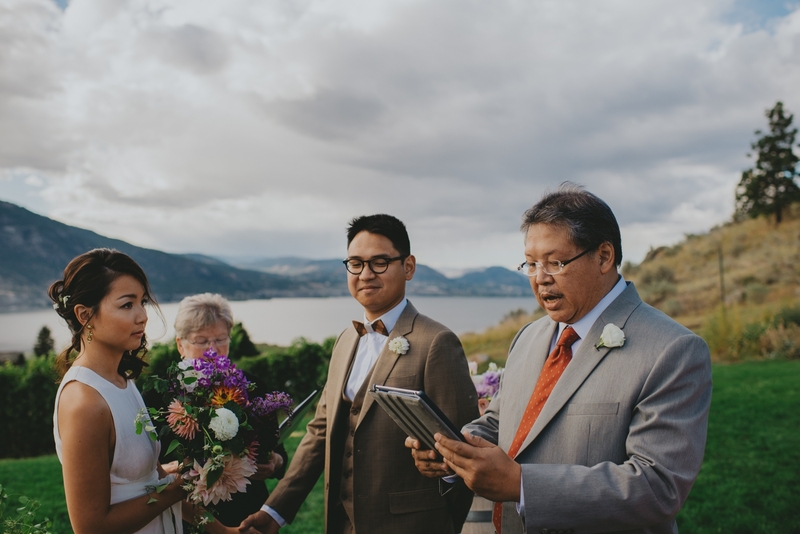 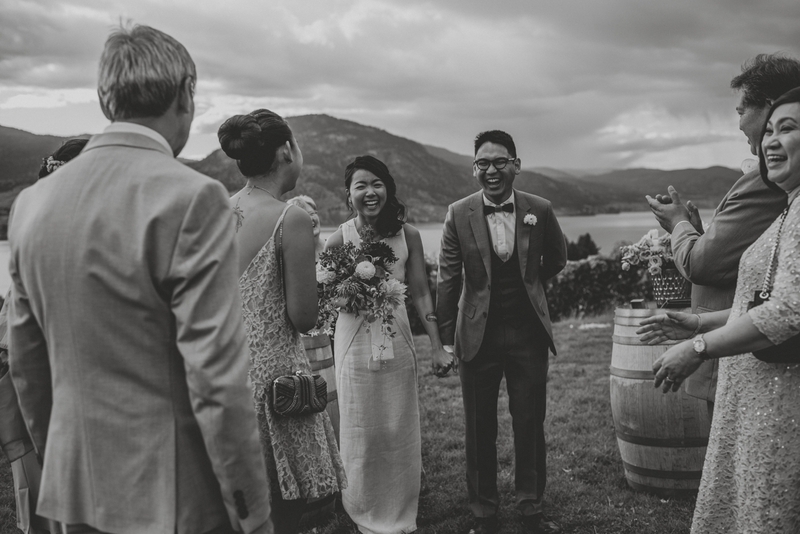 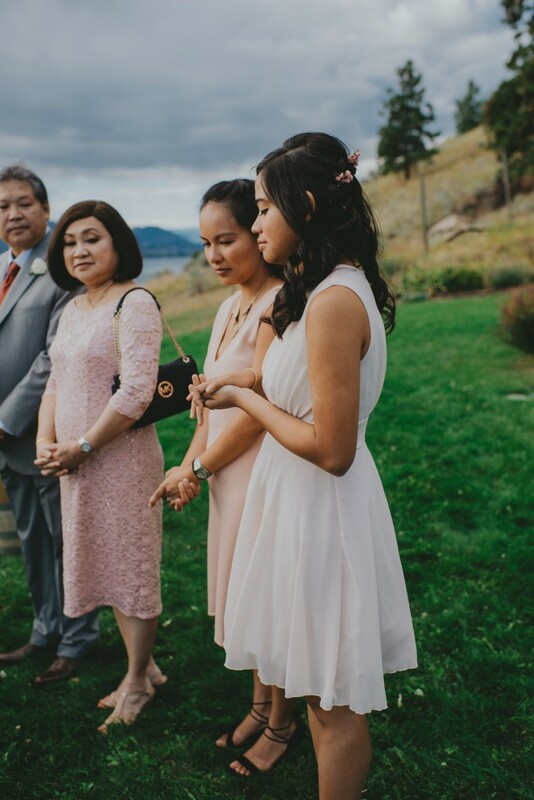 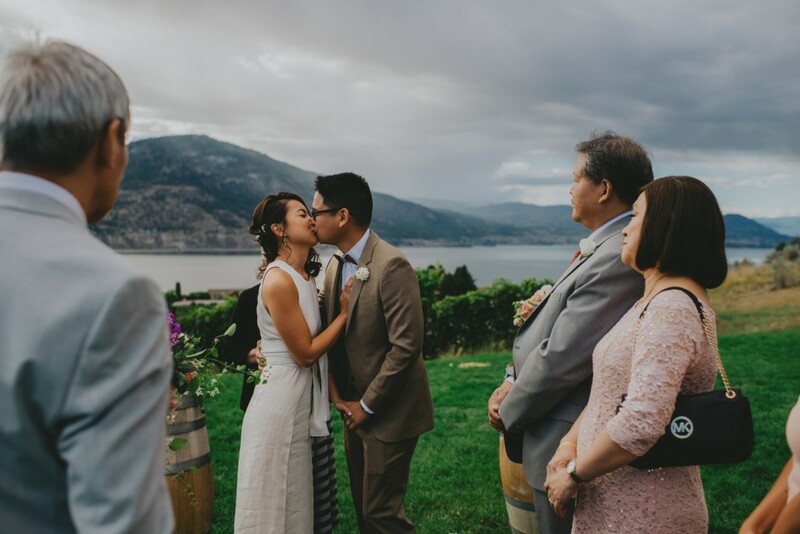 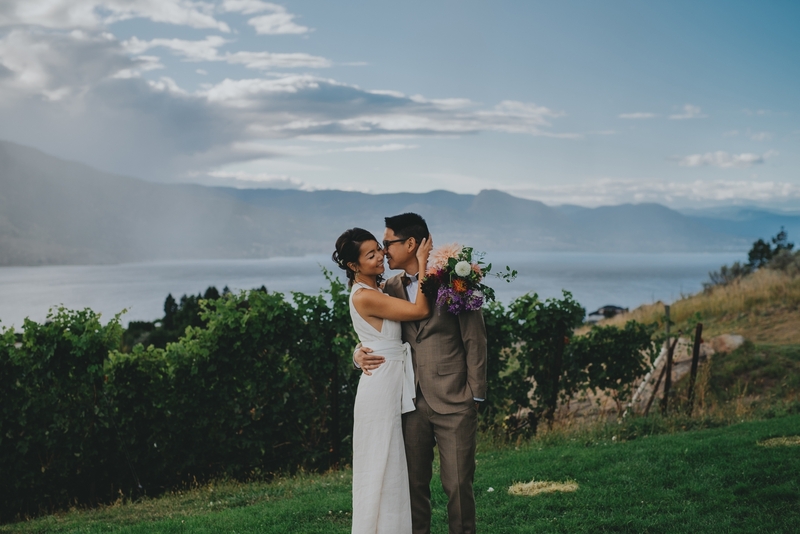 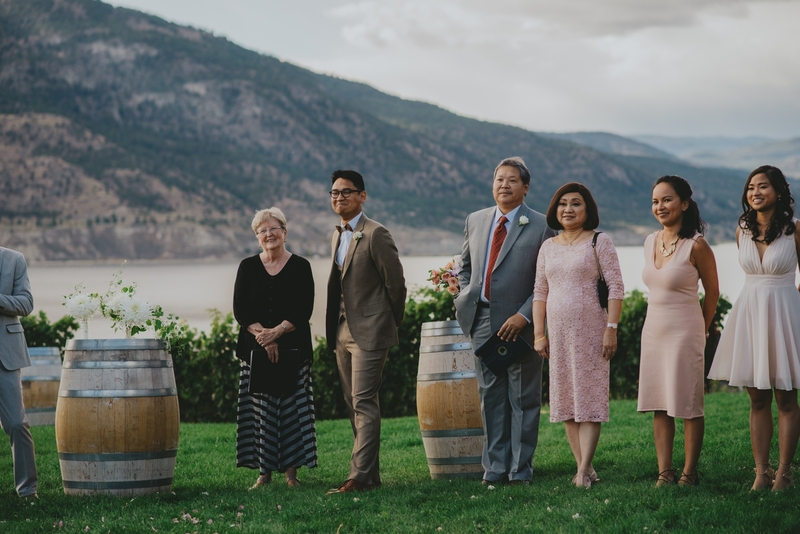 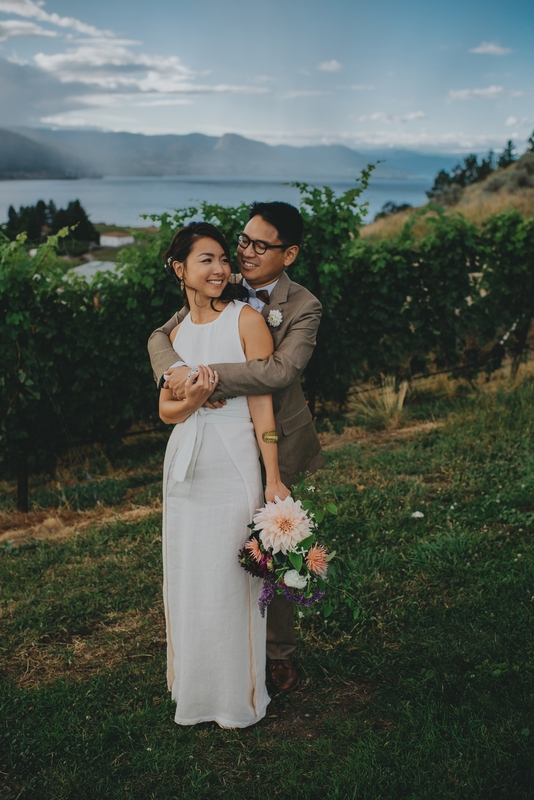 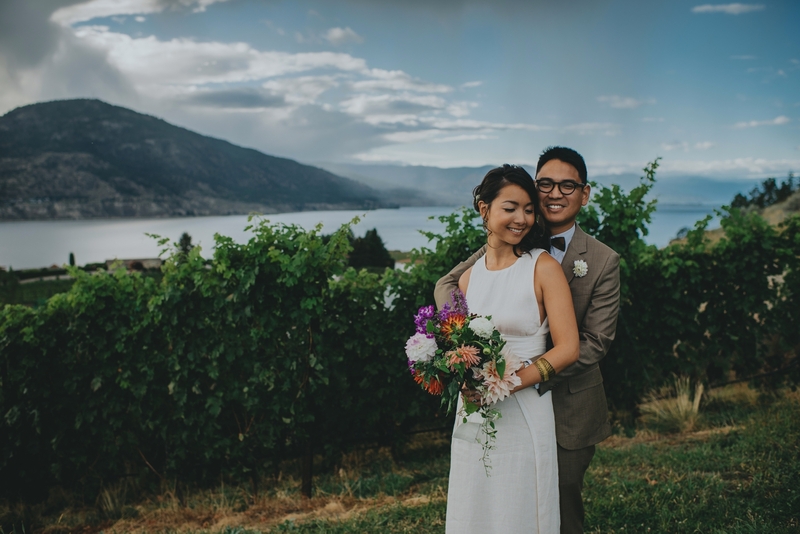 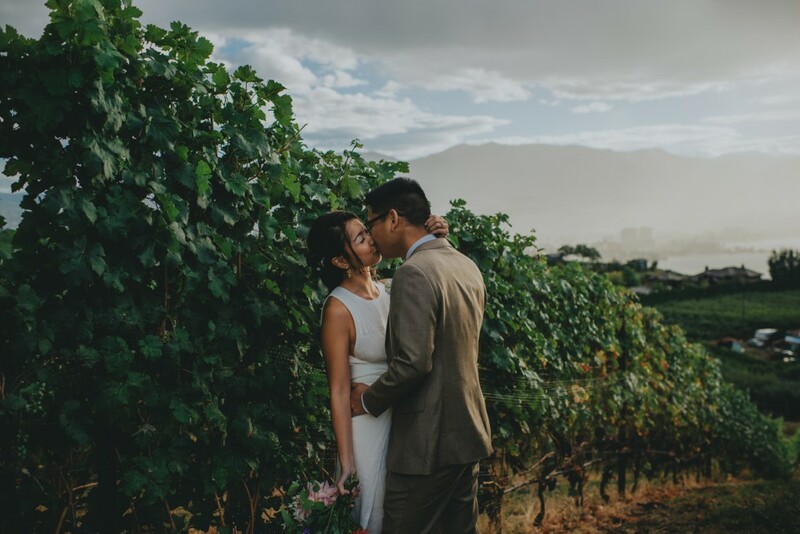 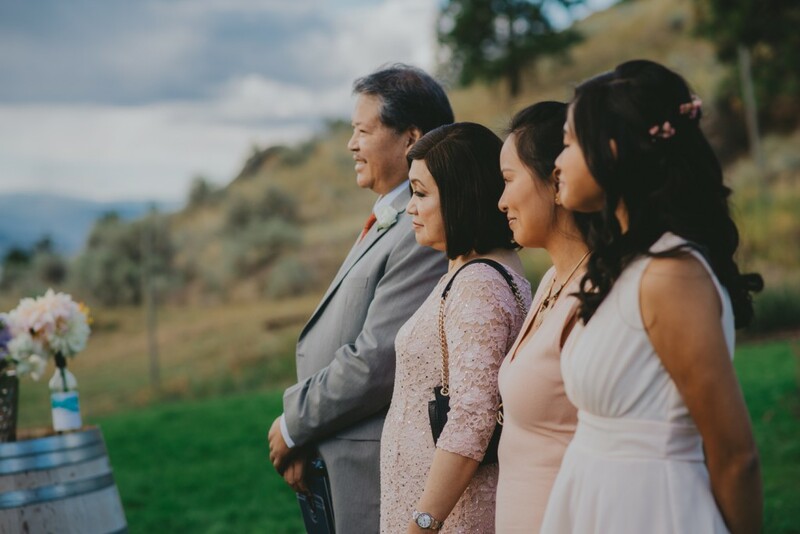 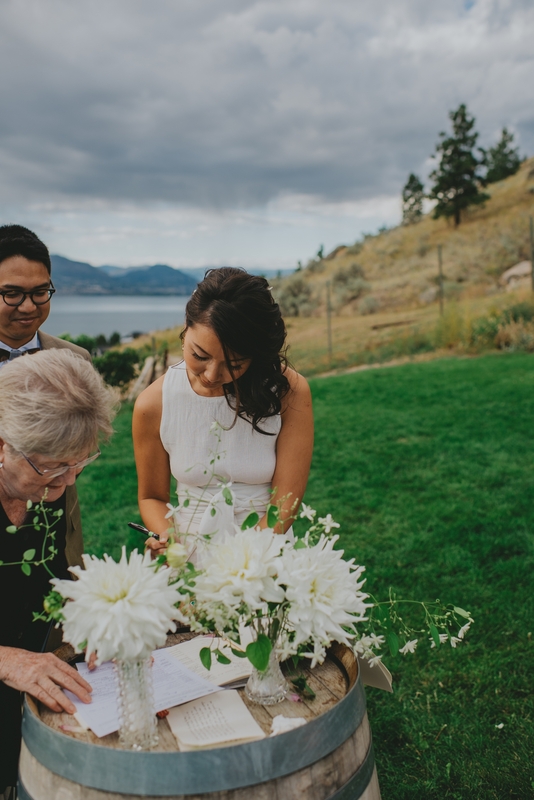 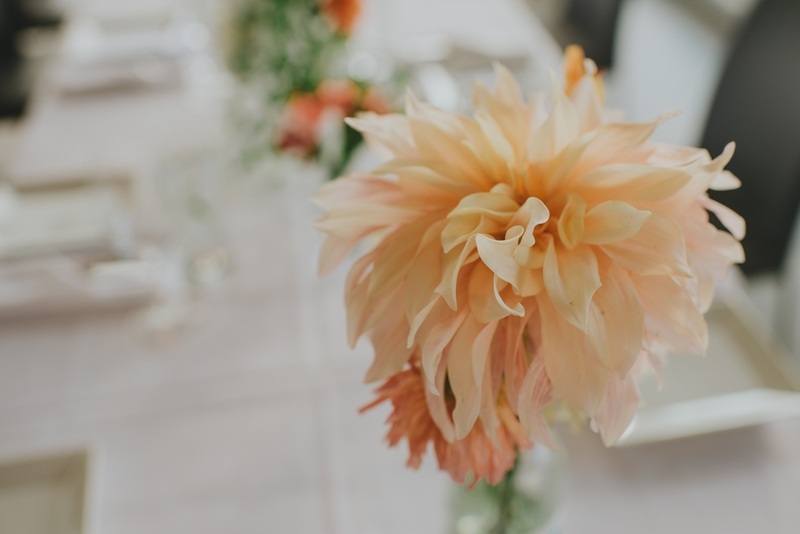 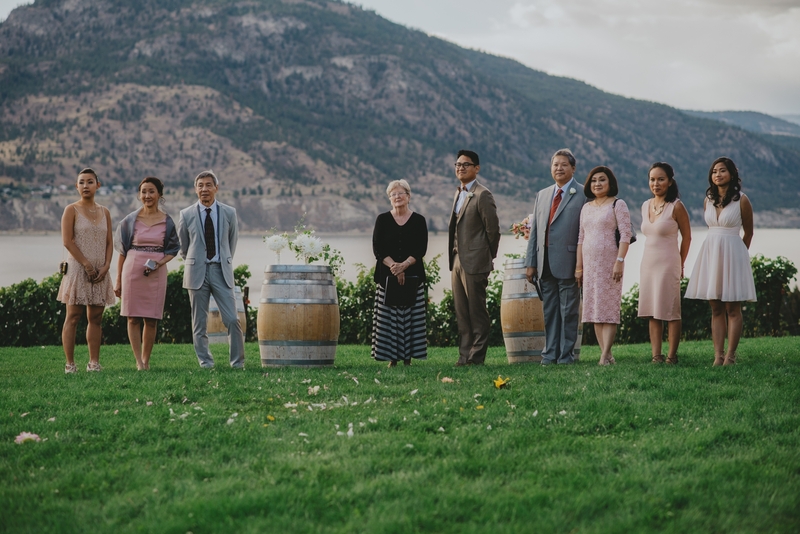 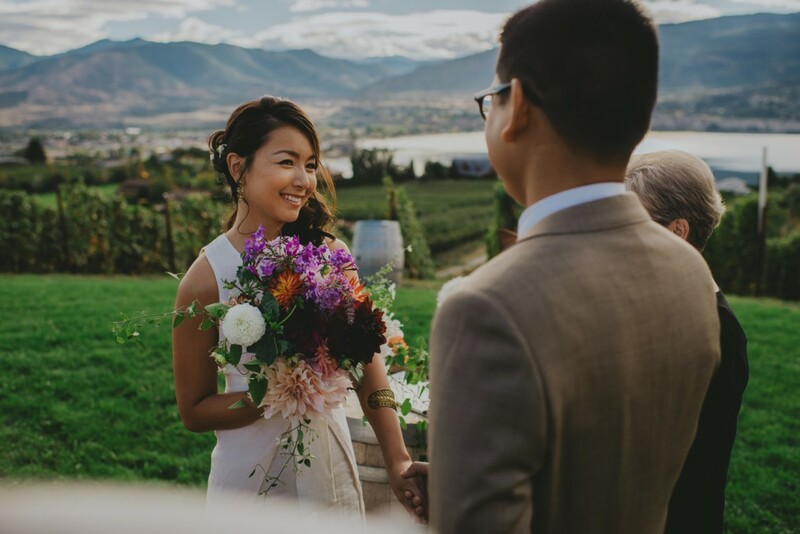 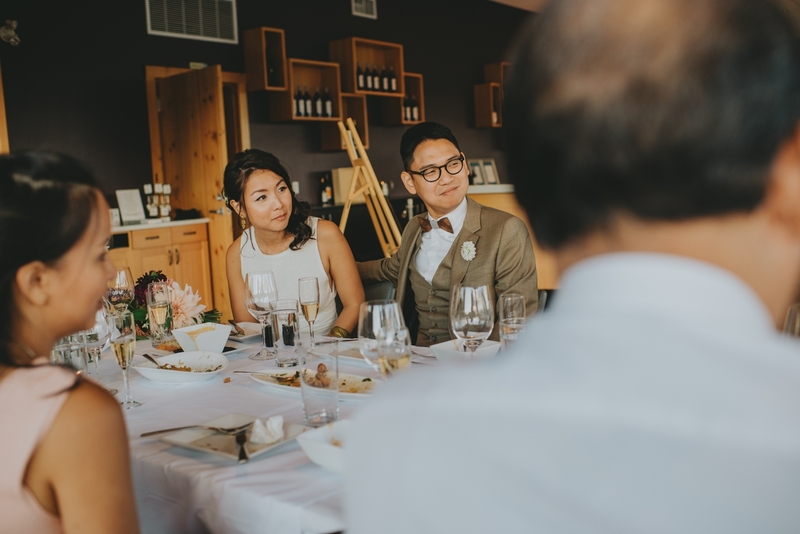 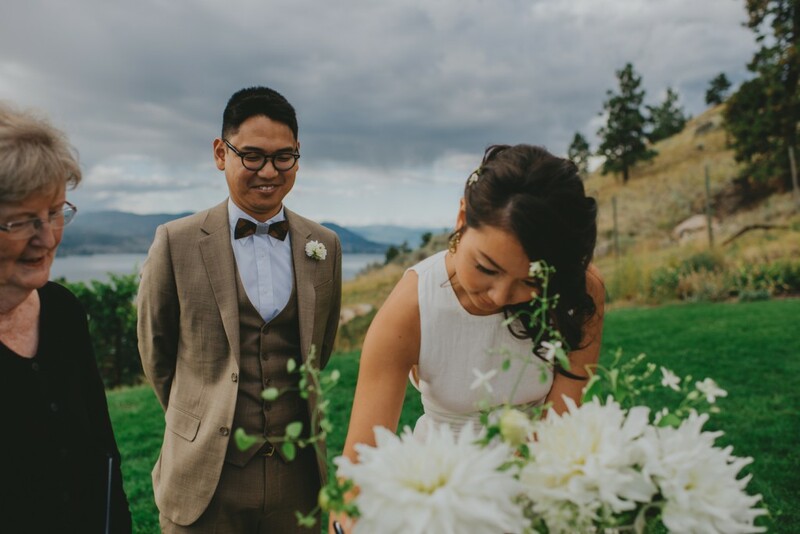 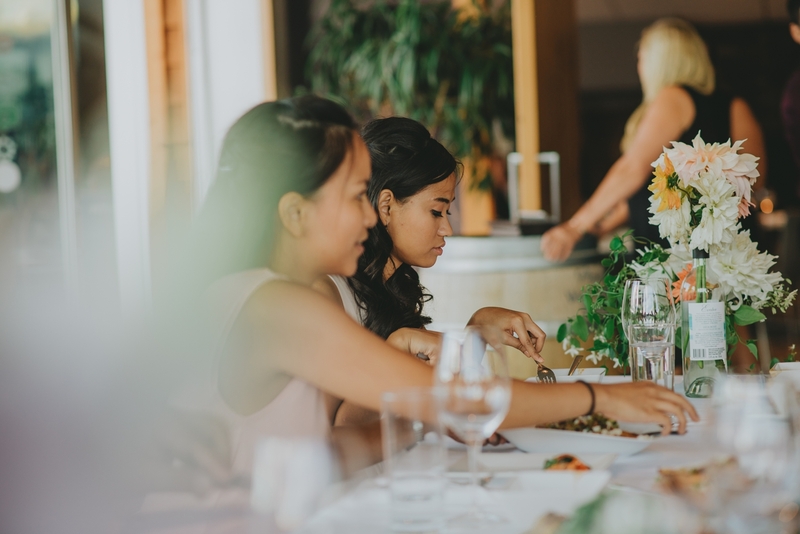 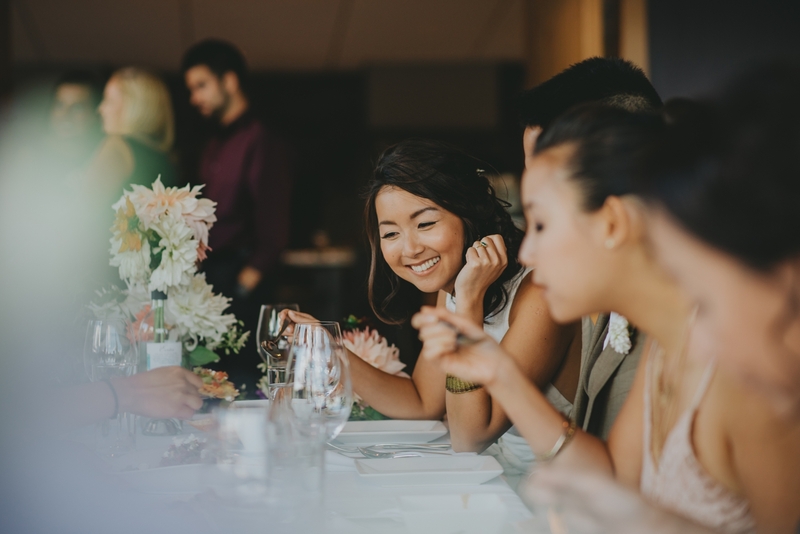 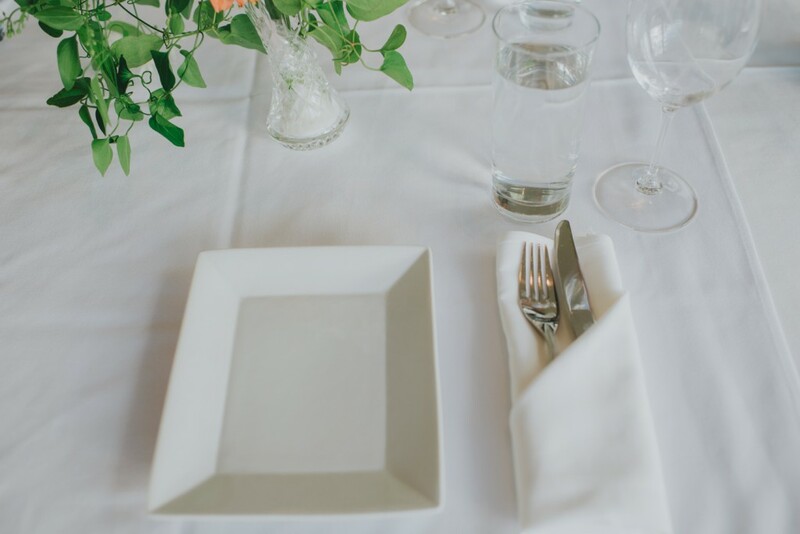 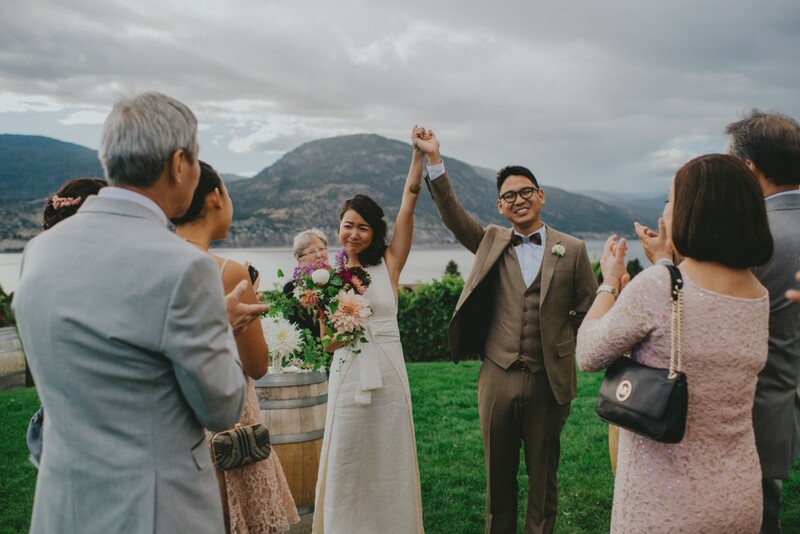 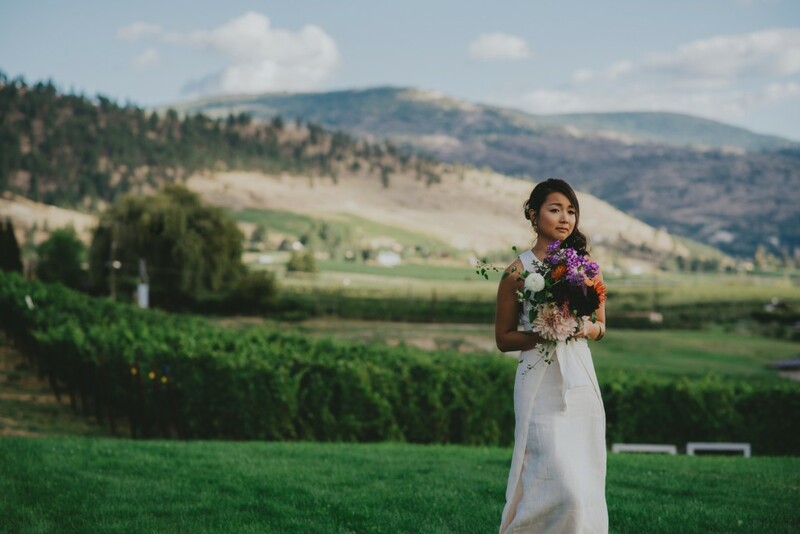 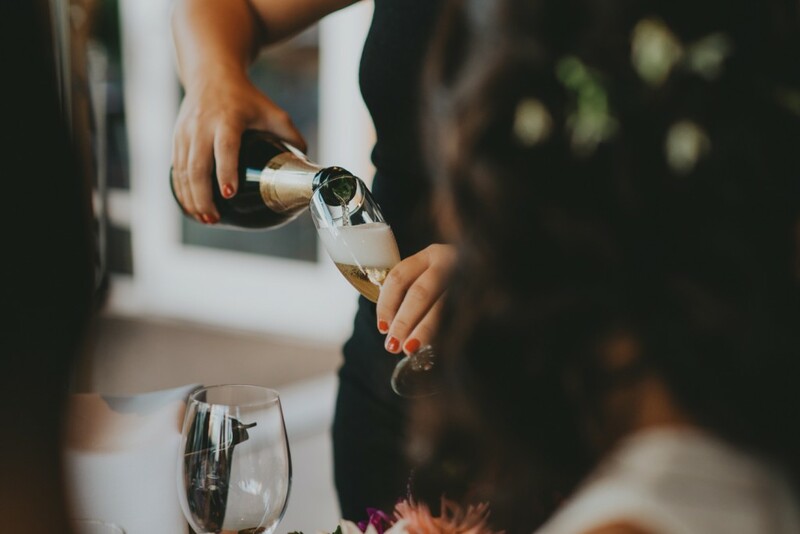 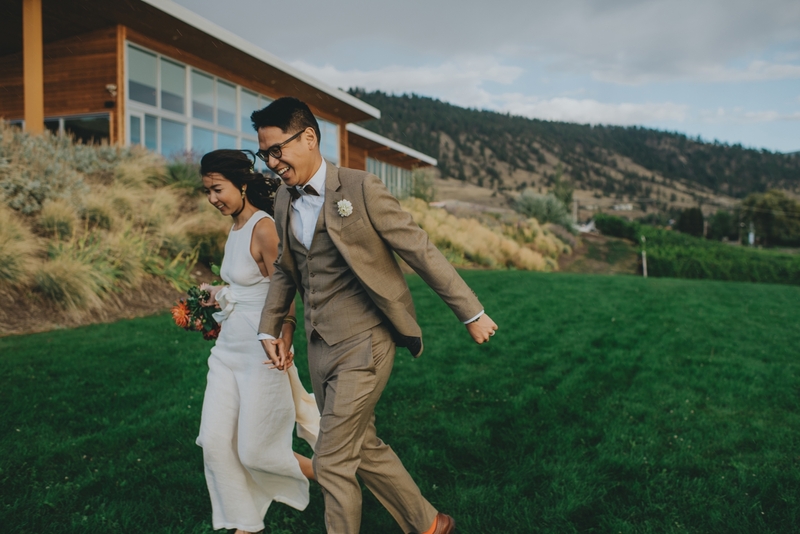 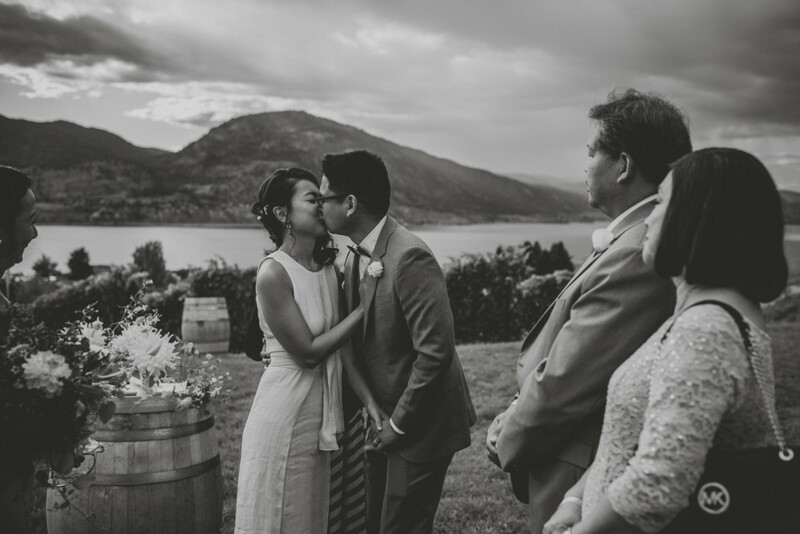 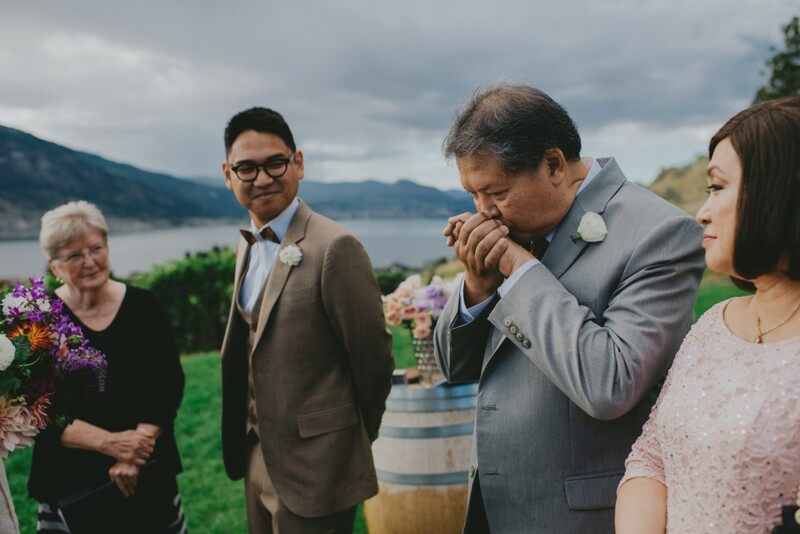 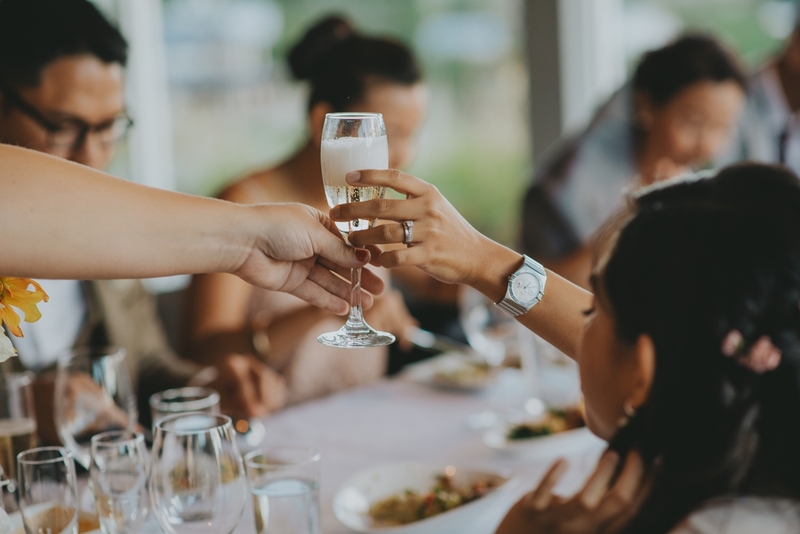 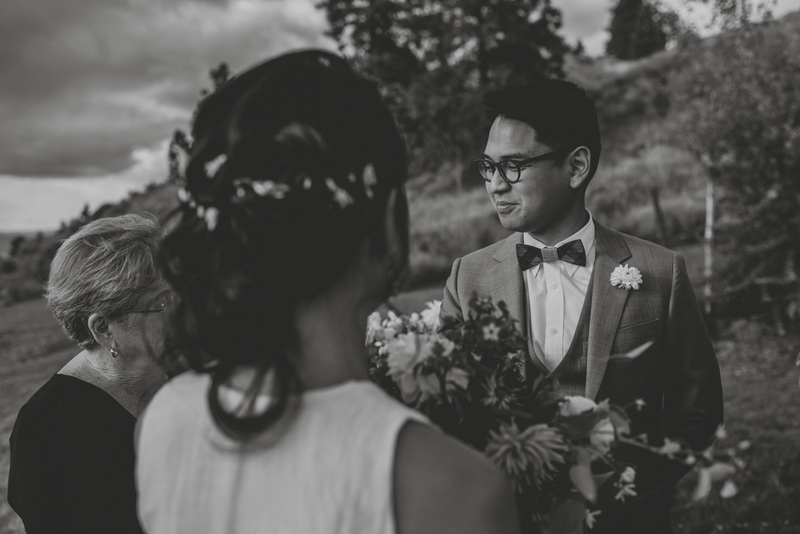 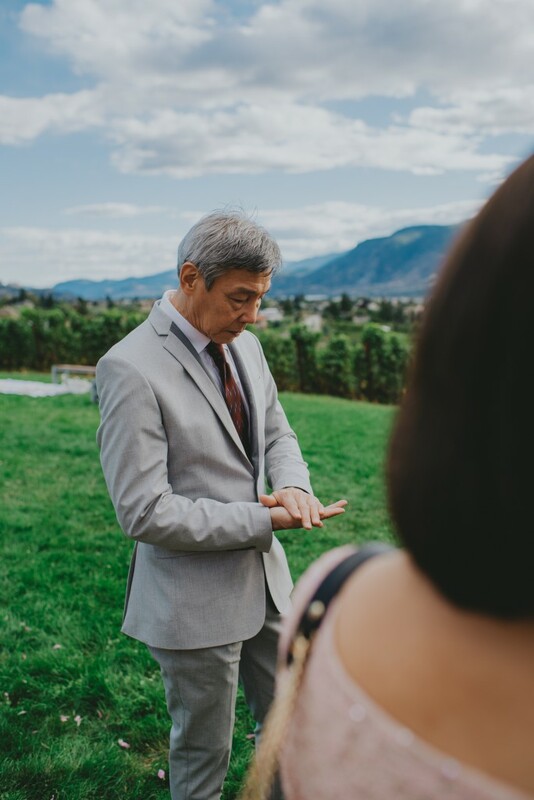 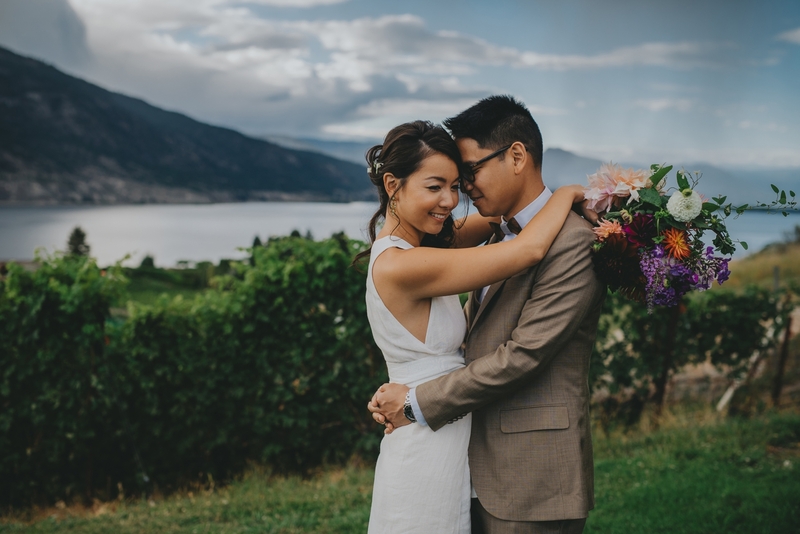 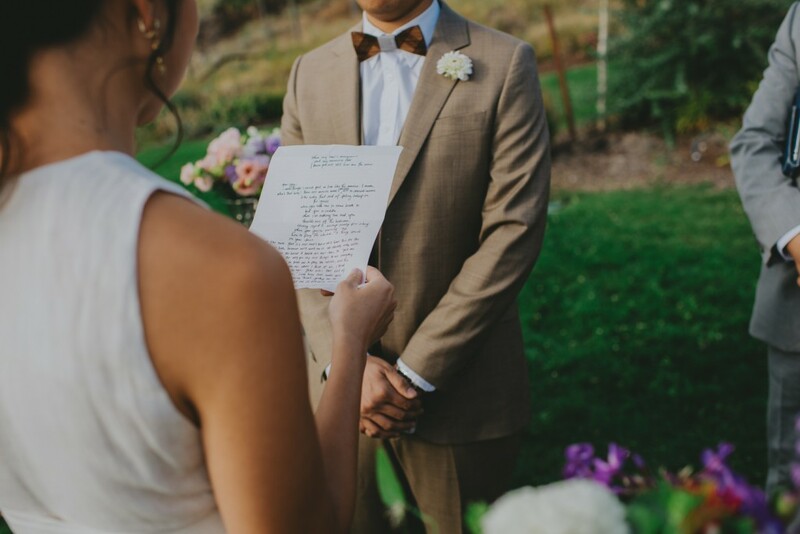 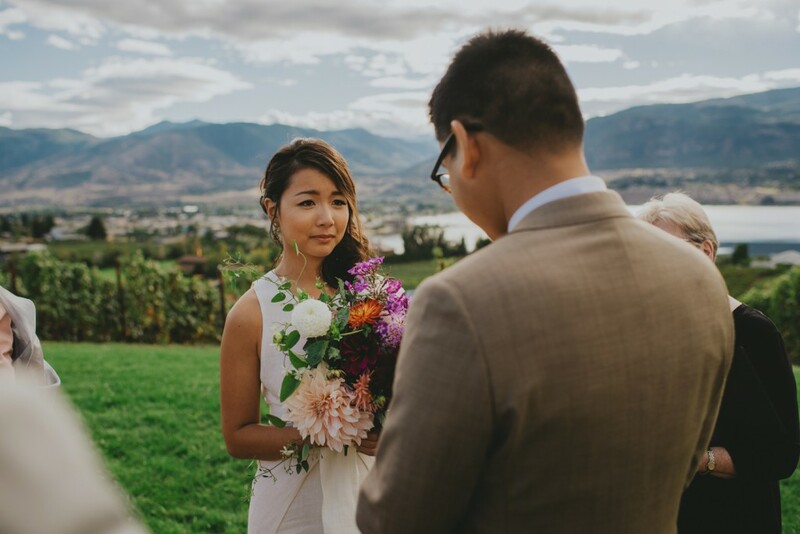 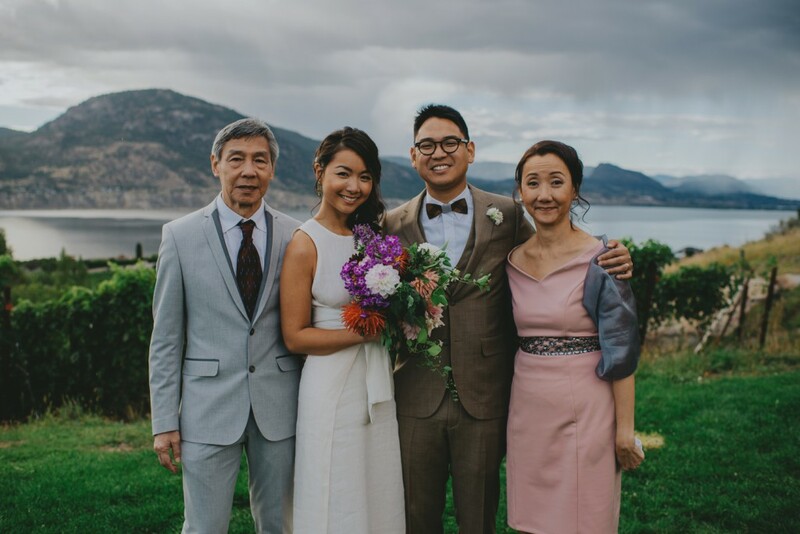 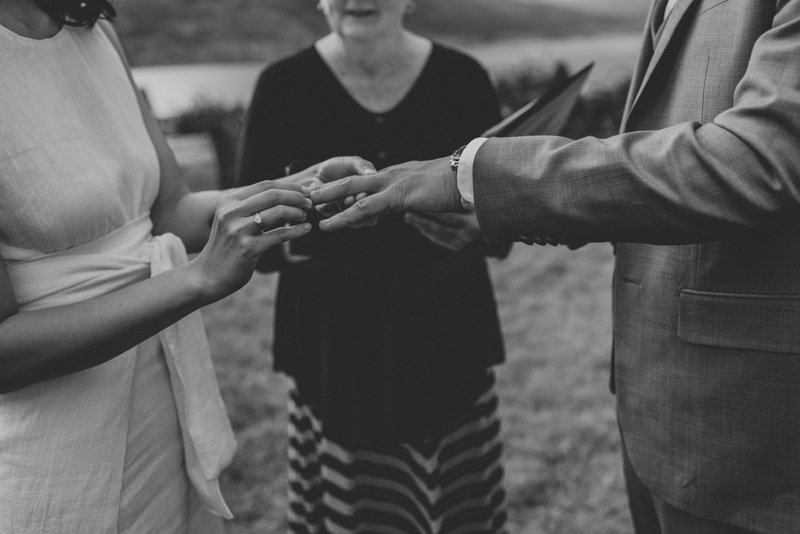 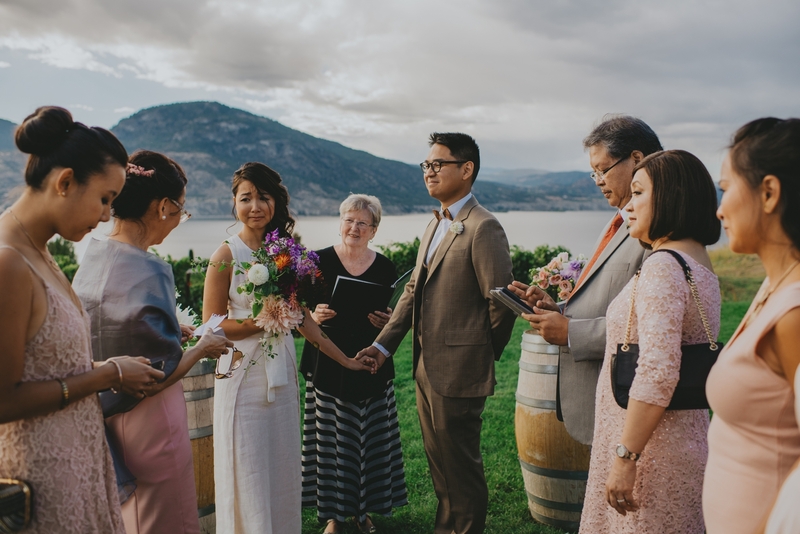 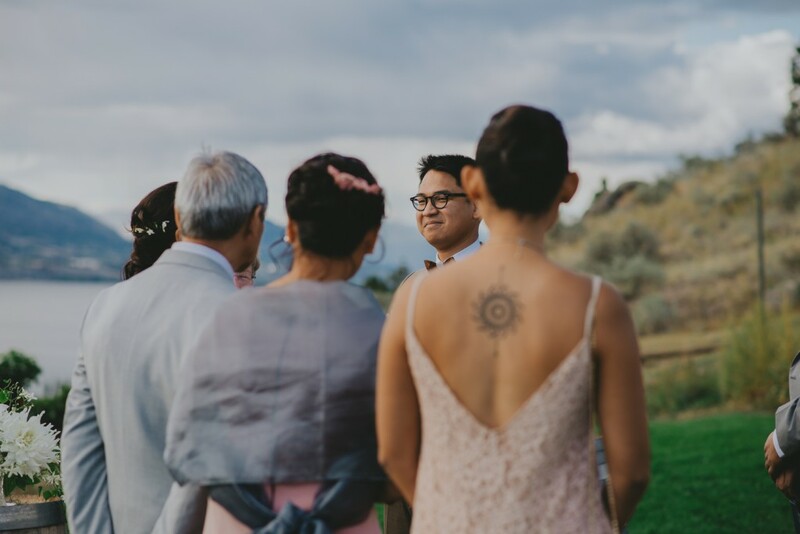 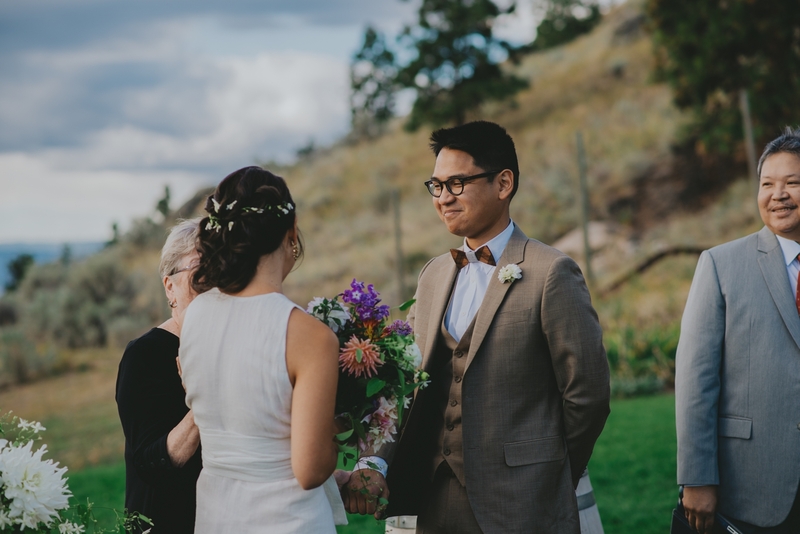 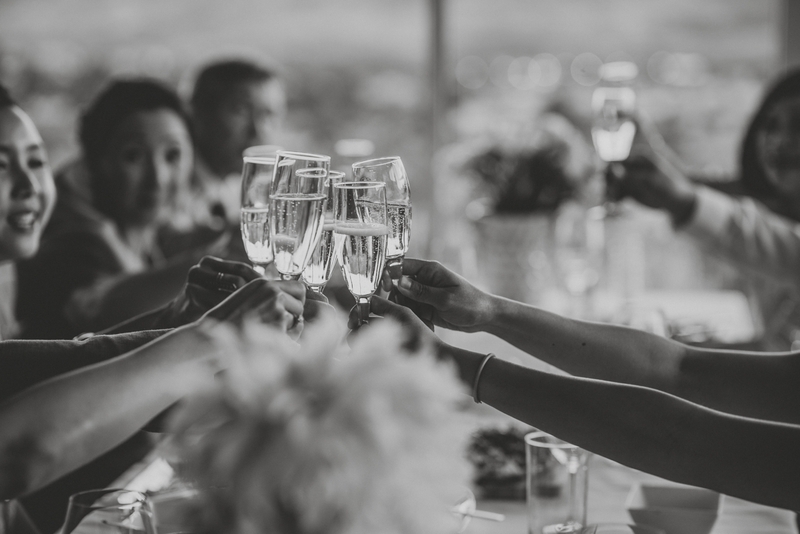 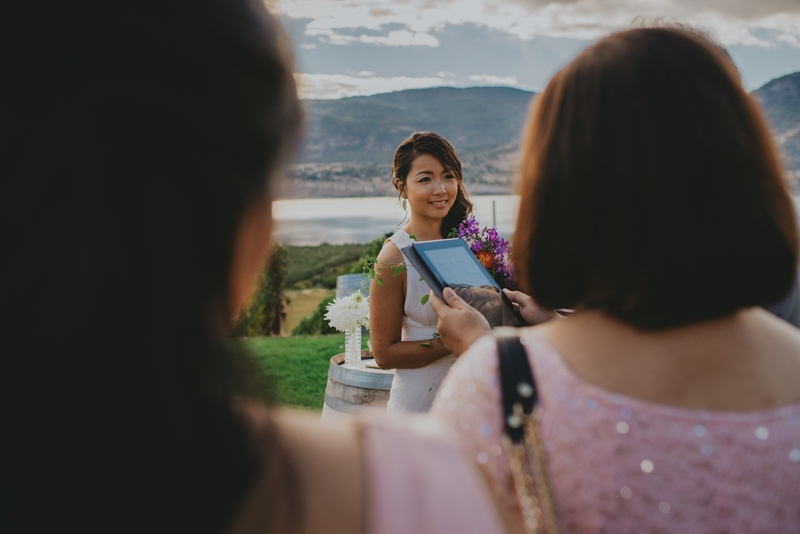 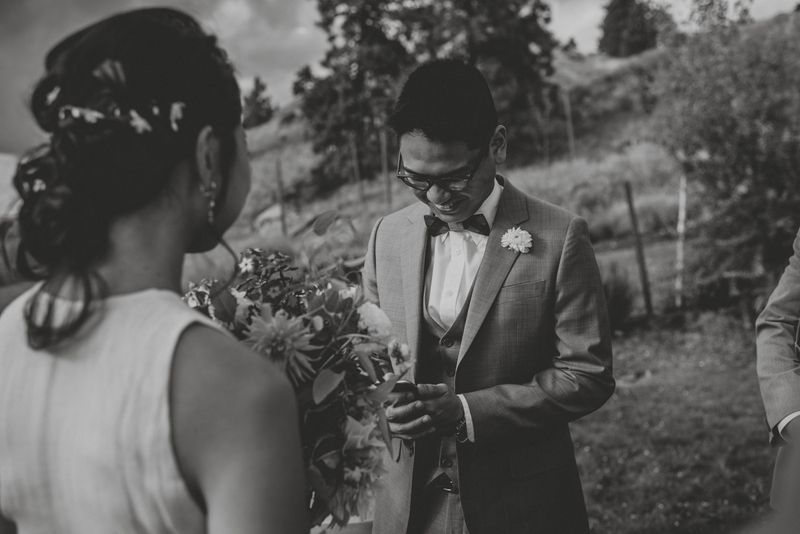 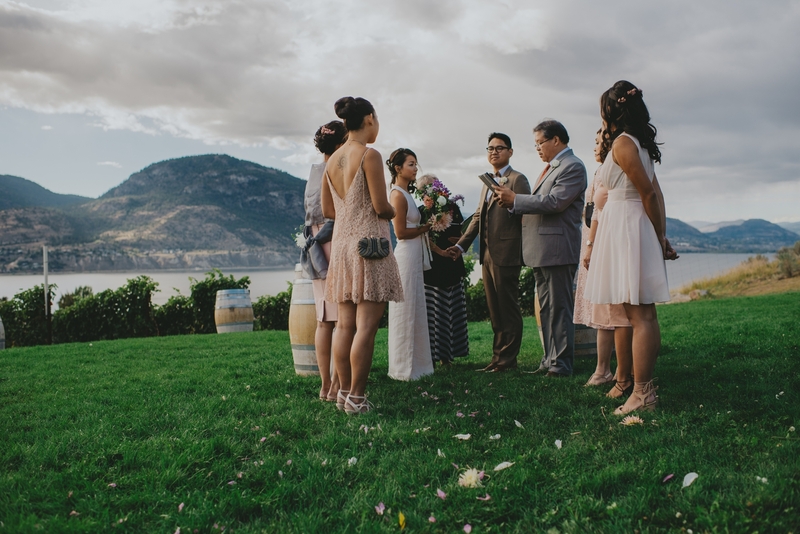 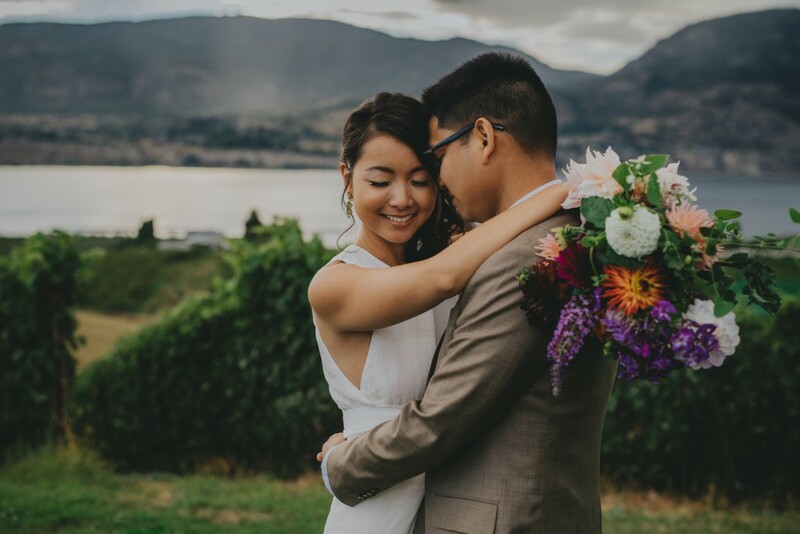 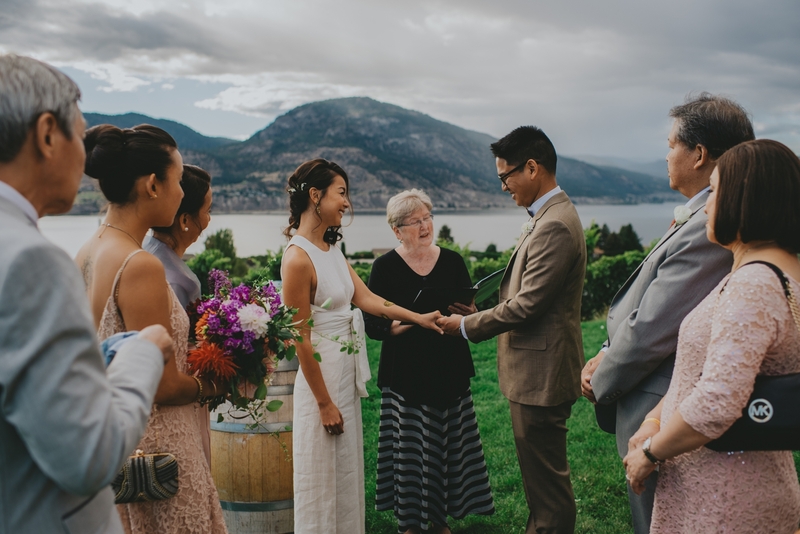 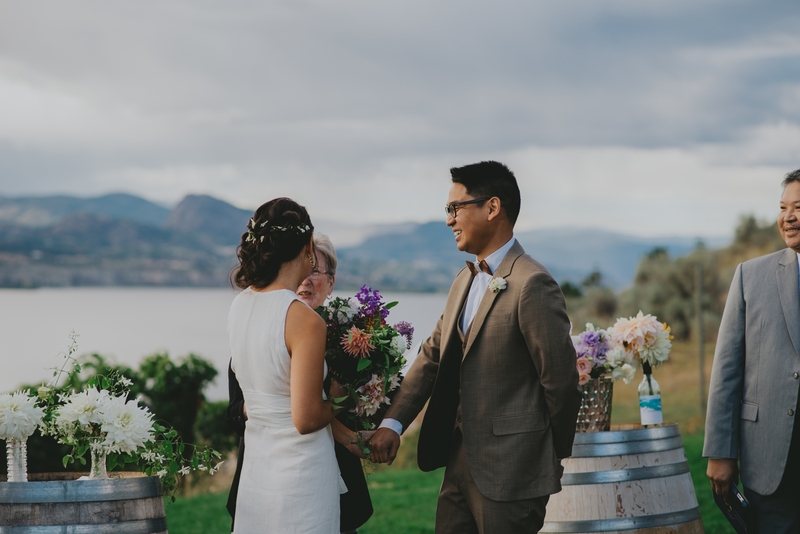 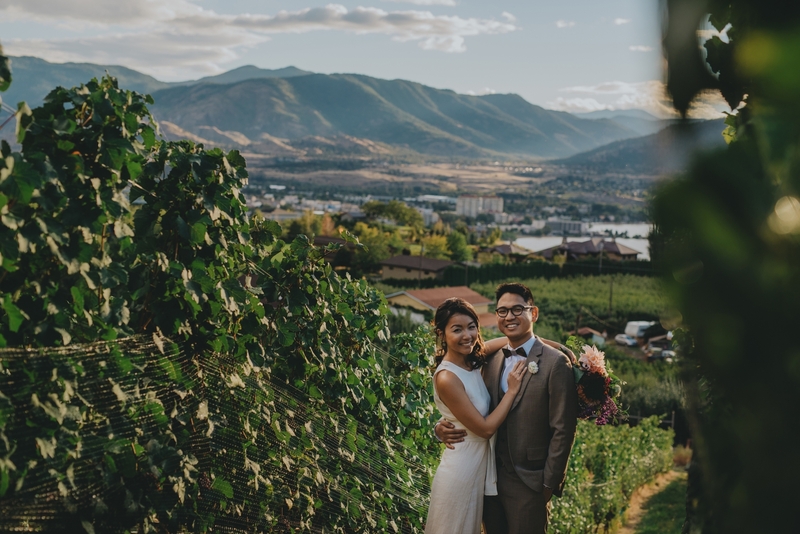 Iggy and Jam’s intimate Poplar Grove wedding day had me absolutely happy hearted from start to finish! 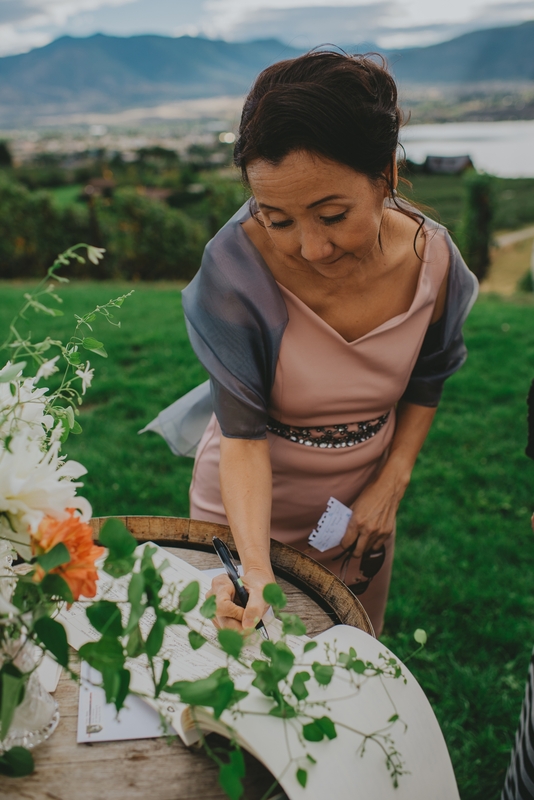 This was a small, short, but absolutely SUCH a special wedding day. 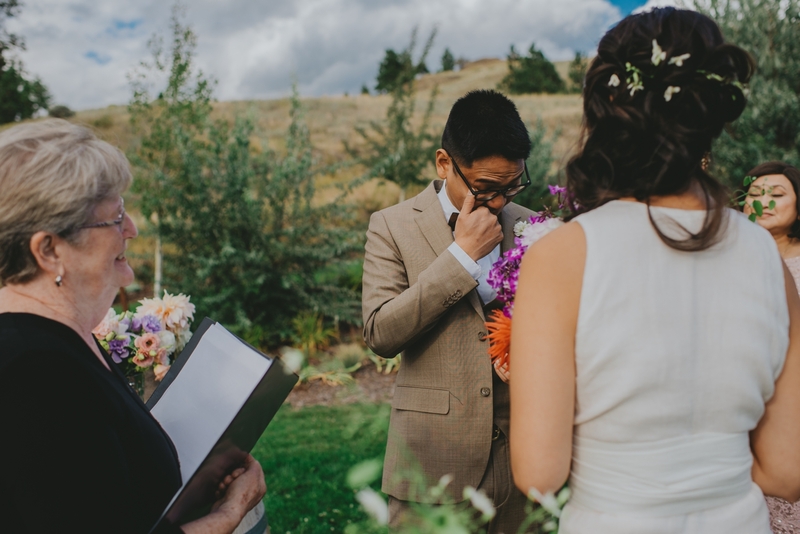 You can have more feels and emotion within a 2 hour day opposed to a full day, which absolutely blew my mind. 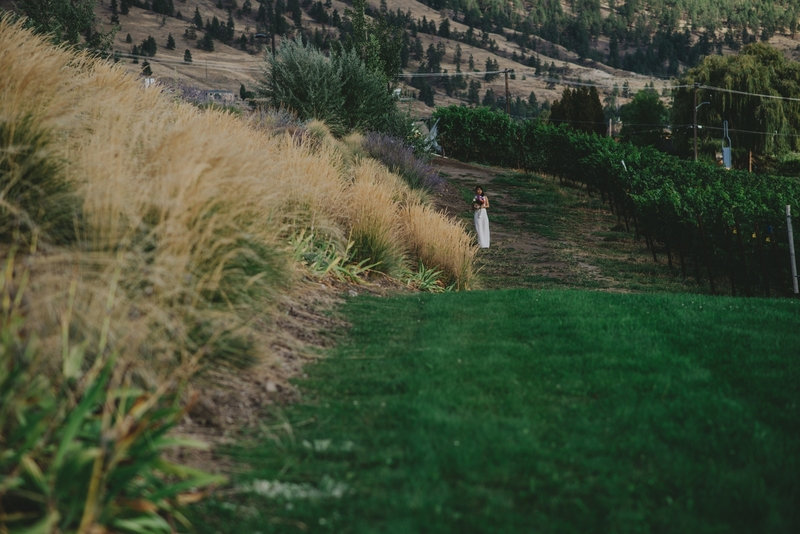 The day started with Jam walking through the grass field towards her ceremony of about 8 family members and friends. 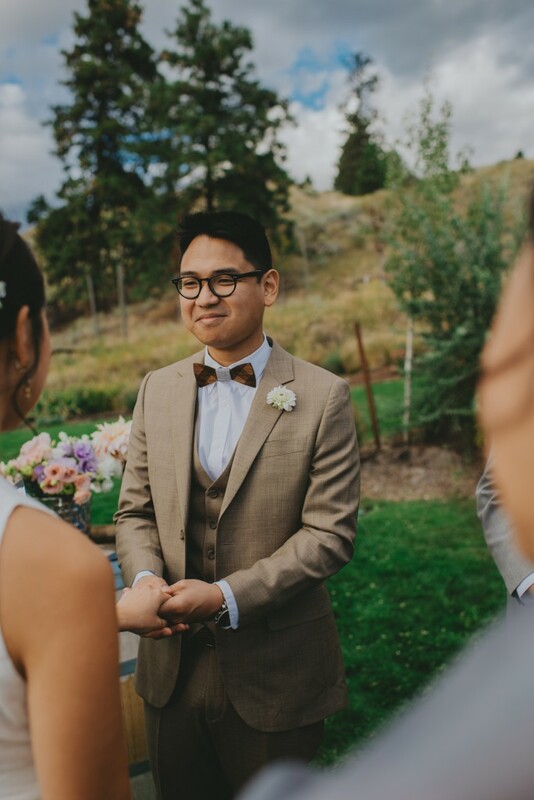 Iggy’s smile as his bride walked towards him was everything and more. 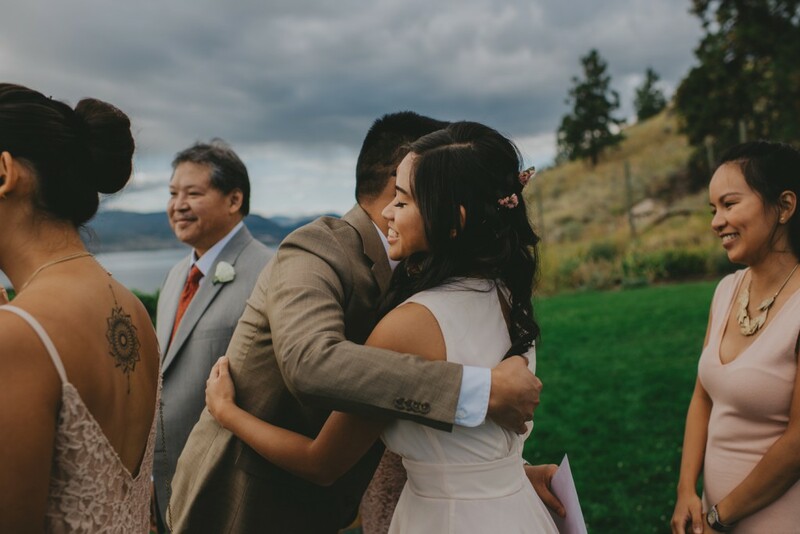 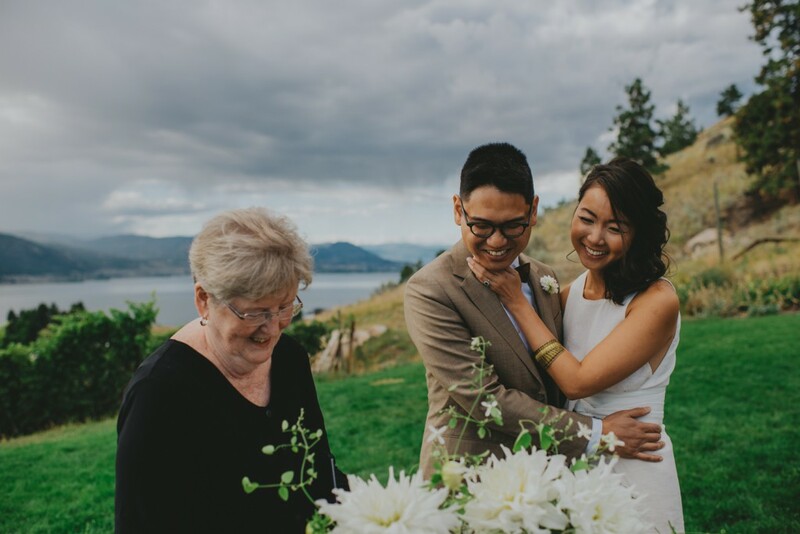 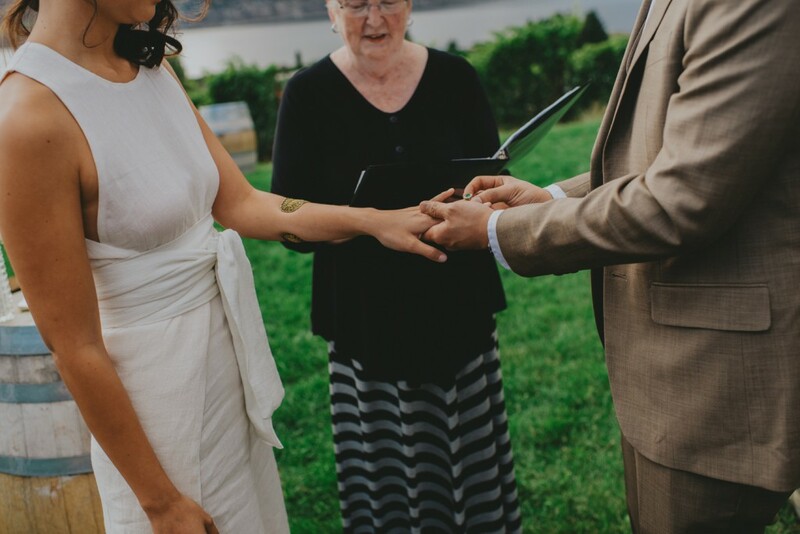 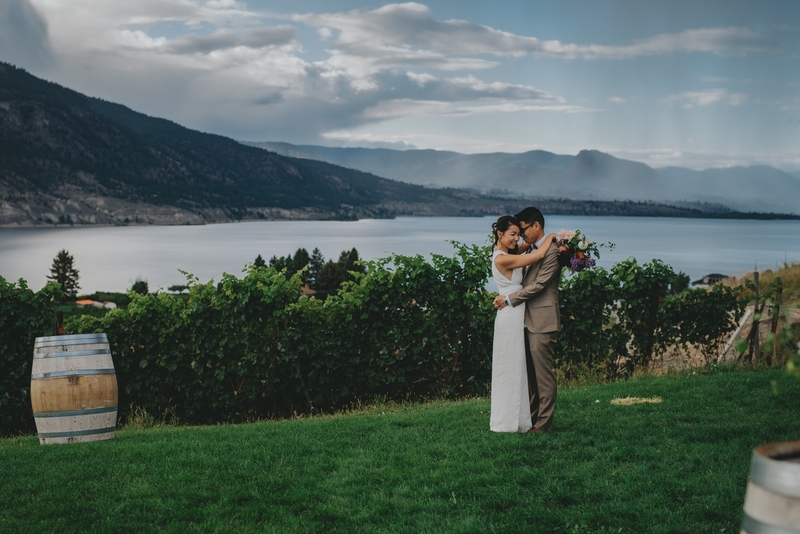 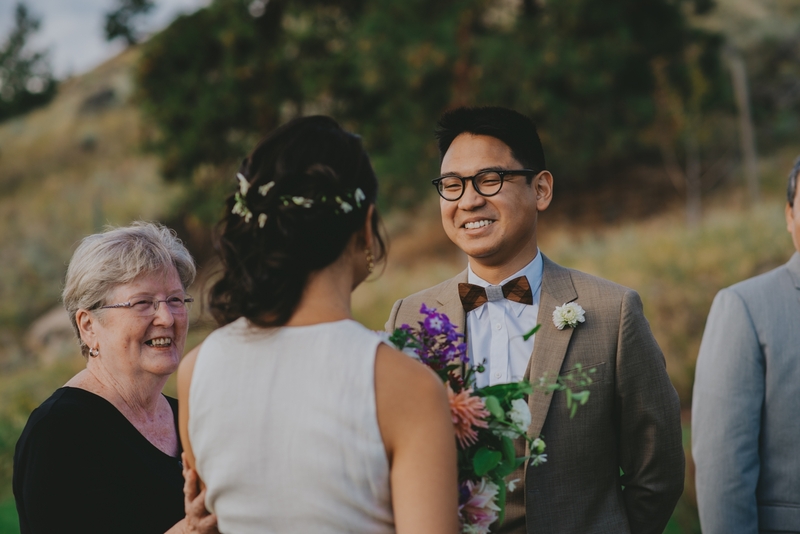 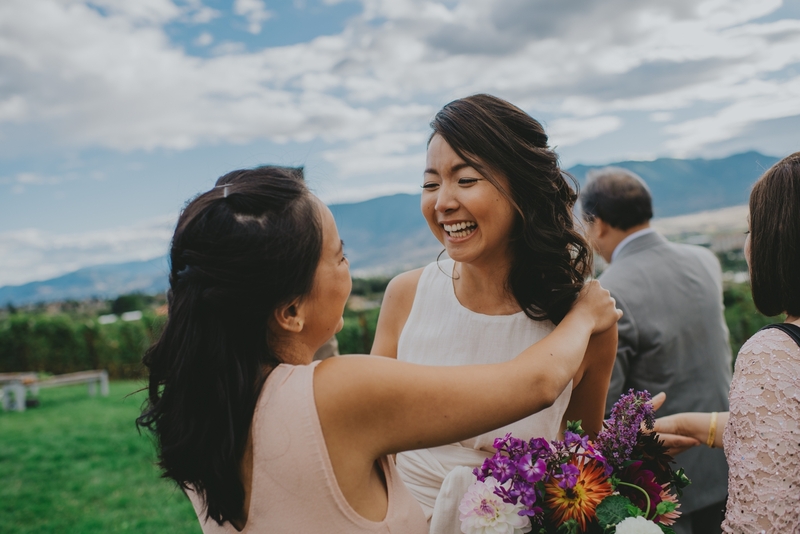 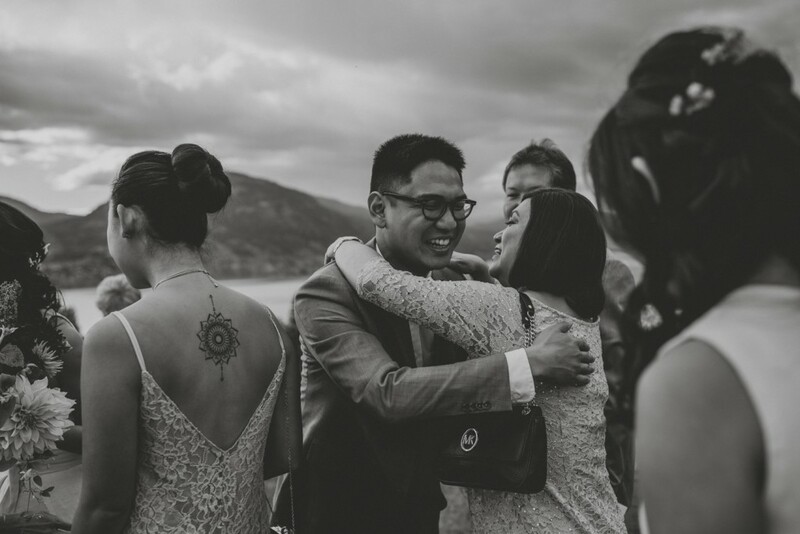 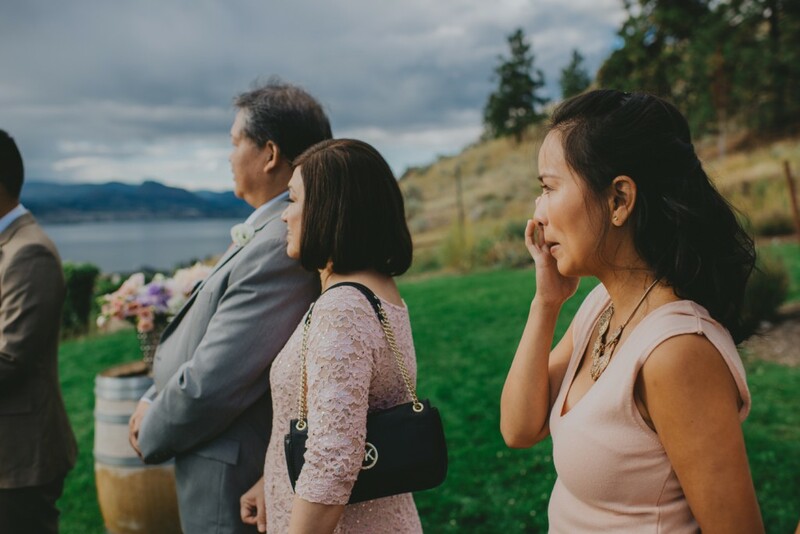 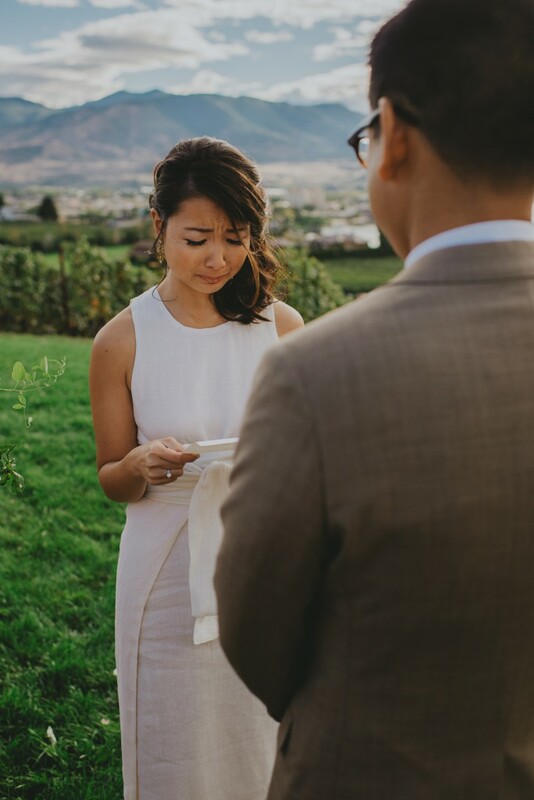 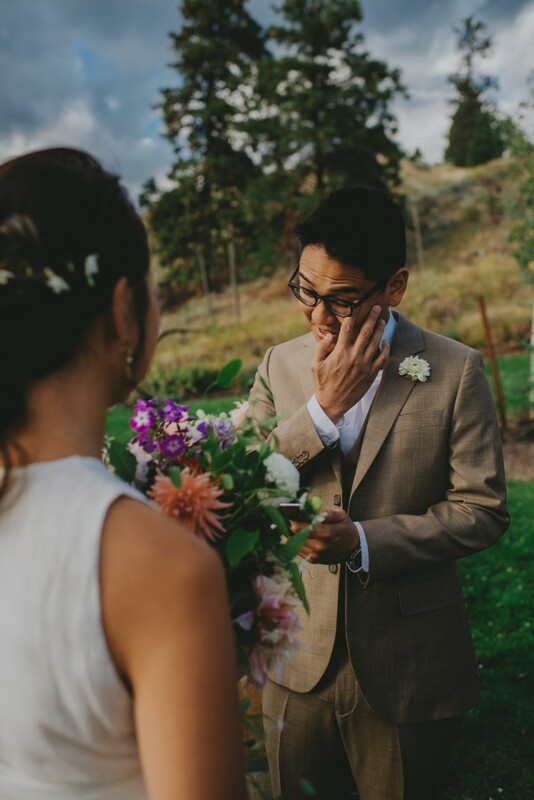 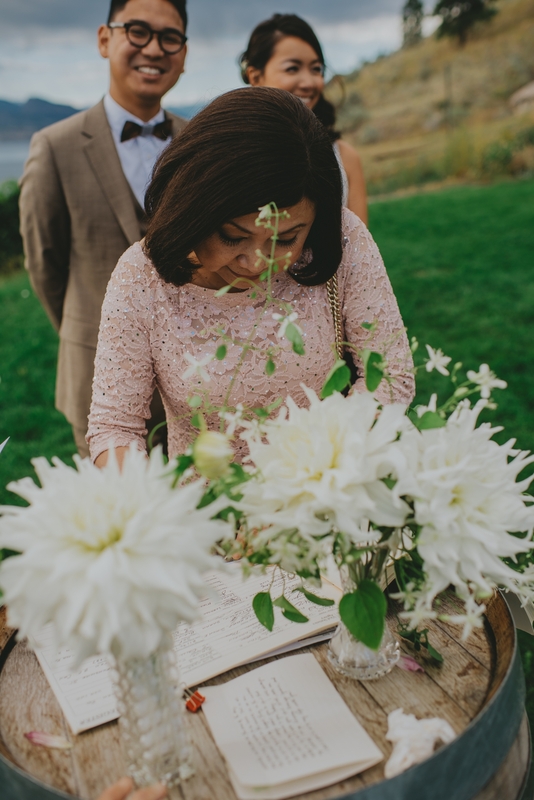 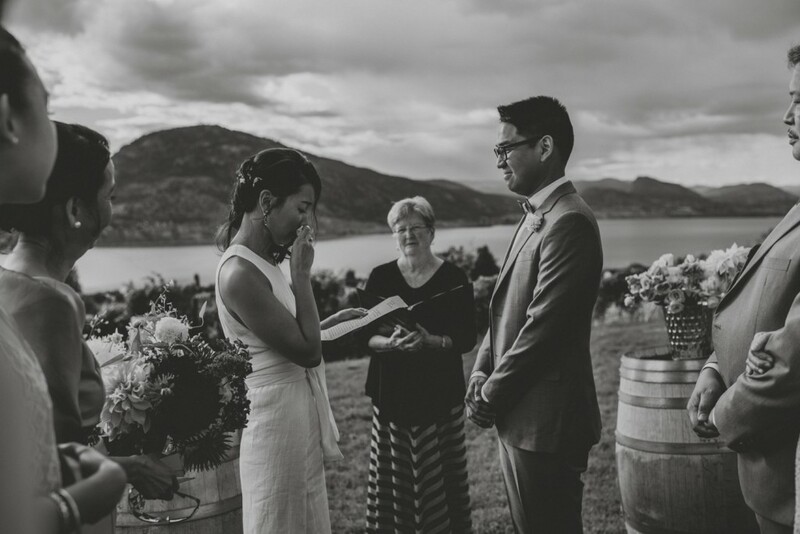 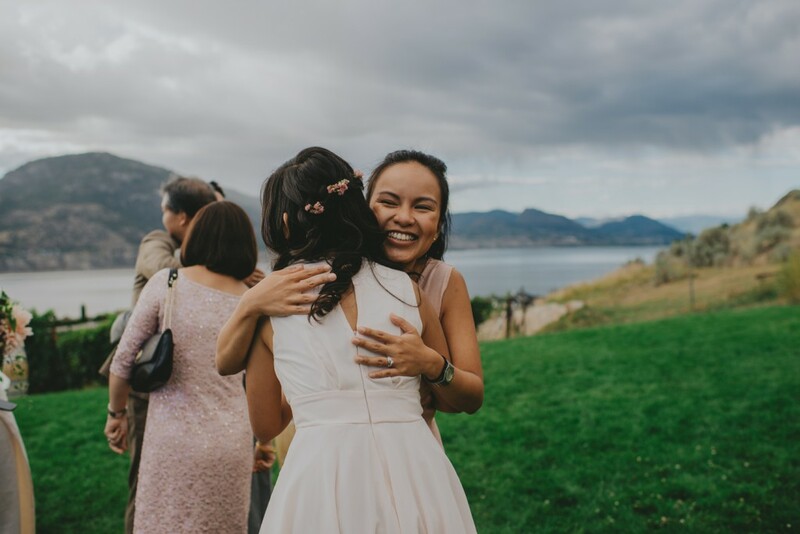 These two shared happy tears and smiles as they said I do at the most gorgeous location. 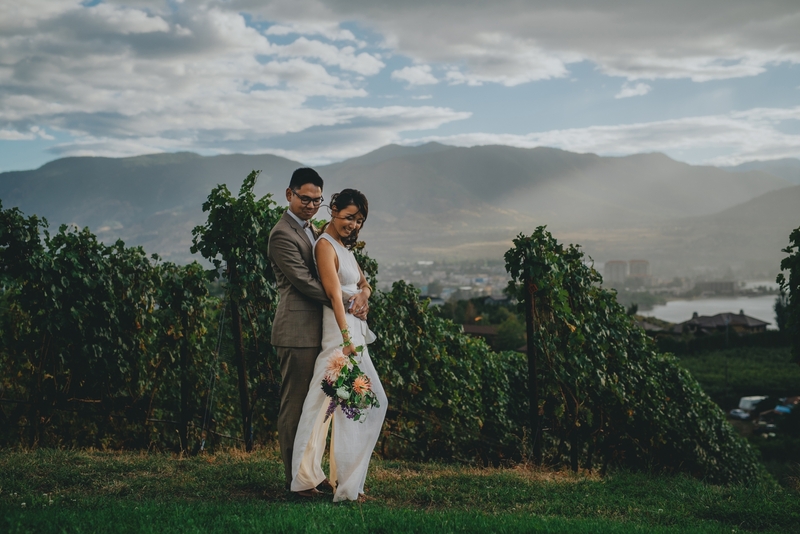 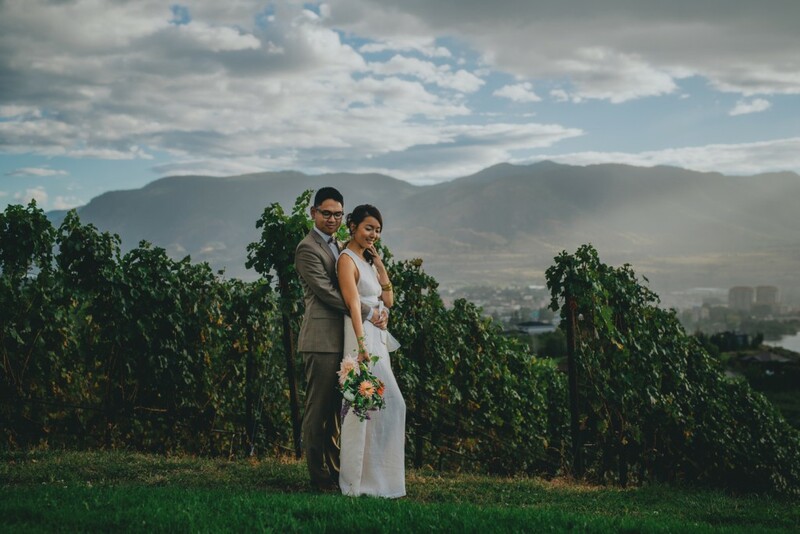 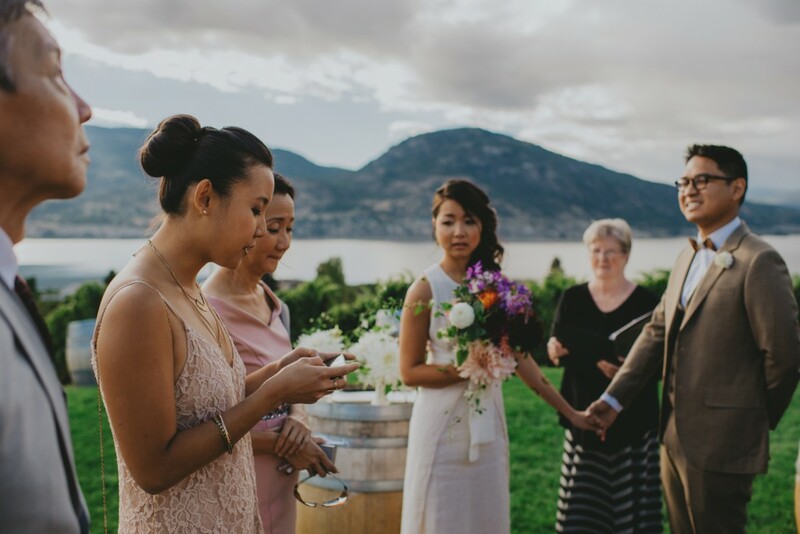 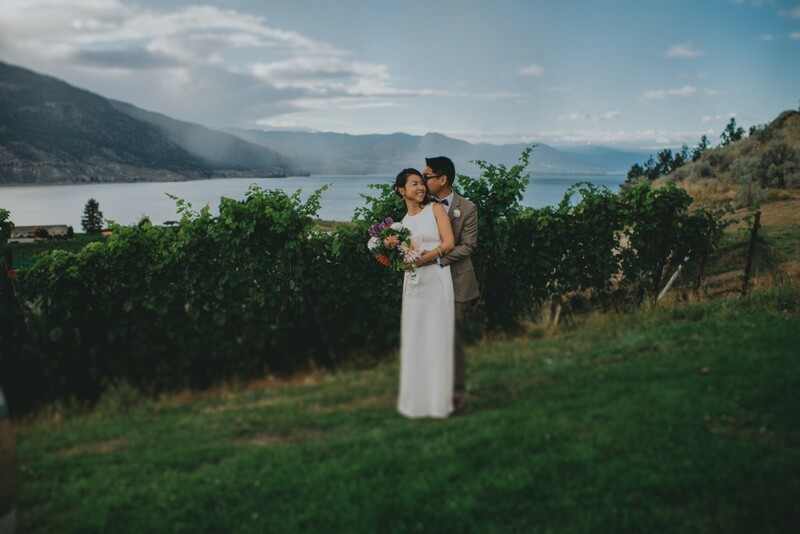 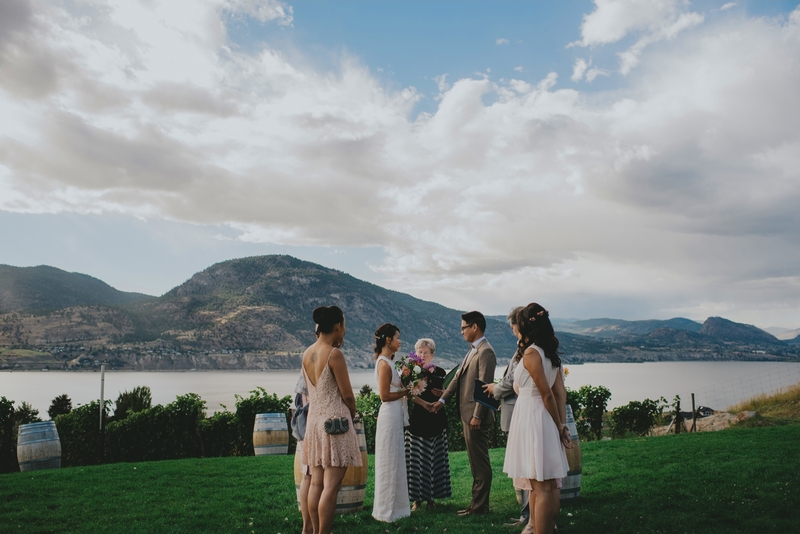 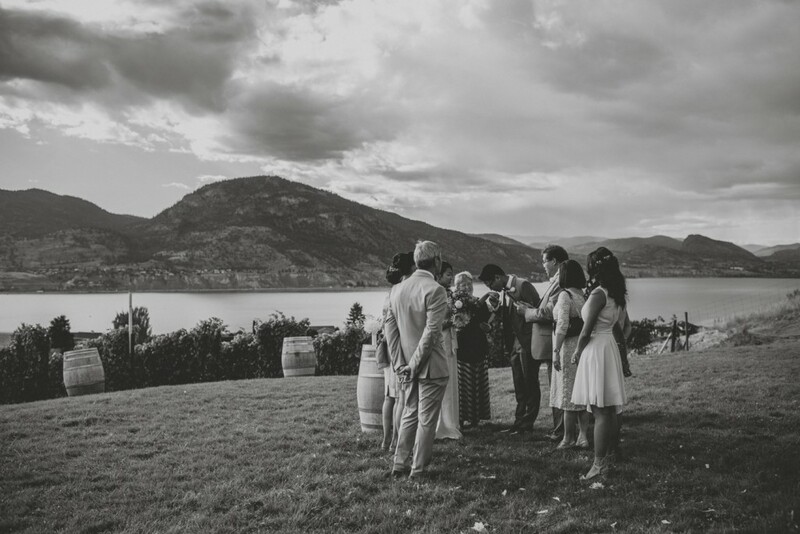 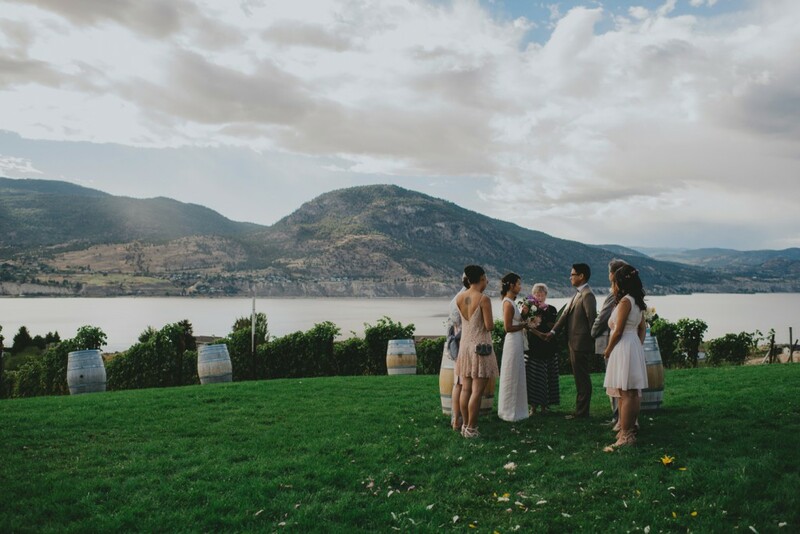 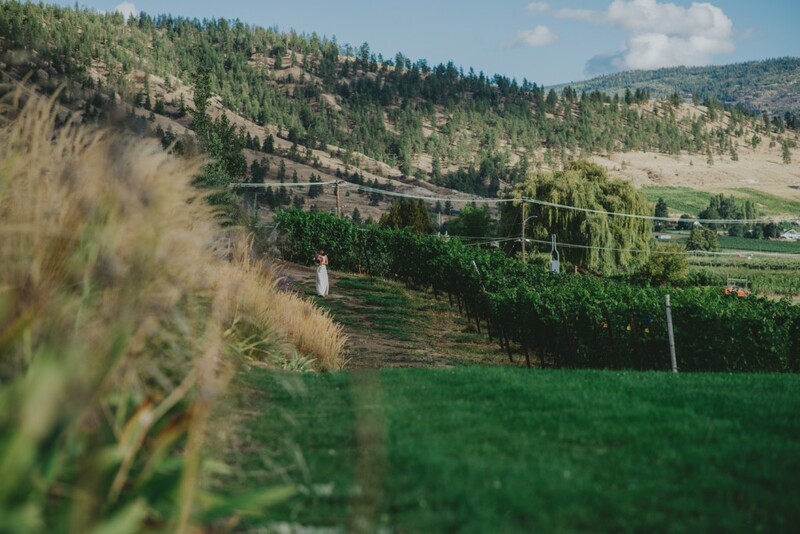 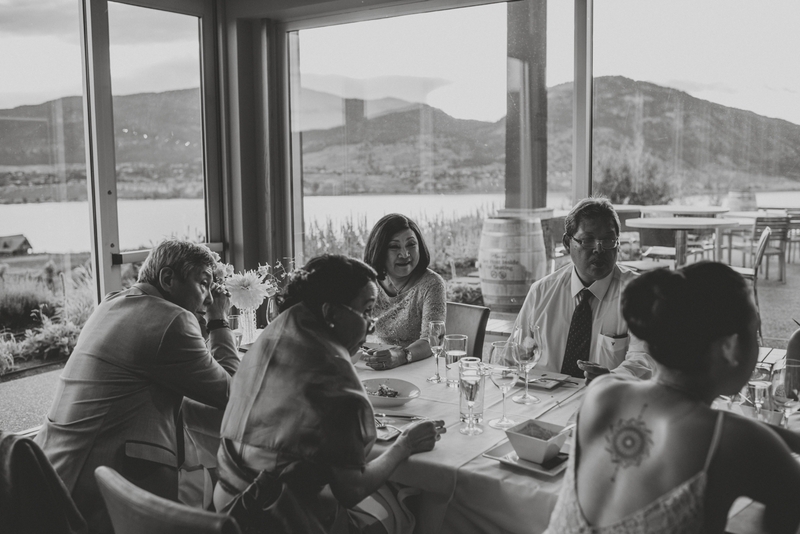 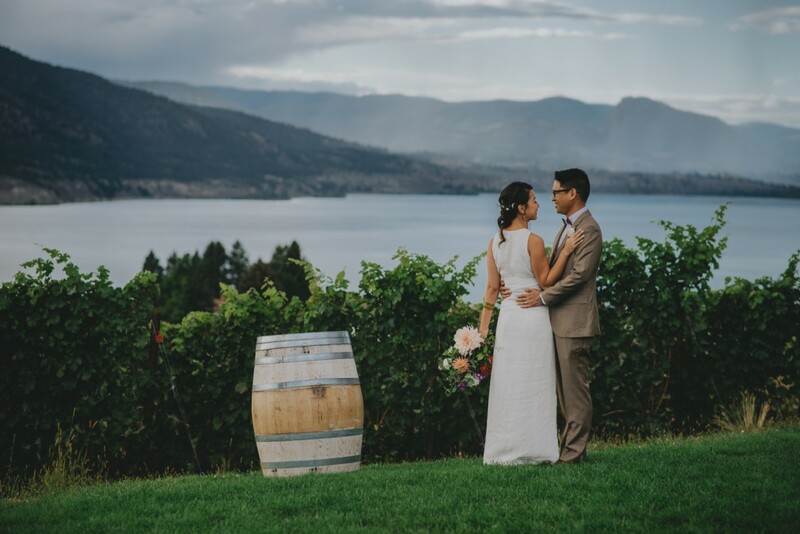 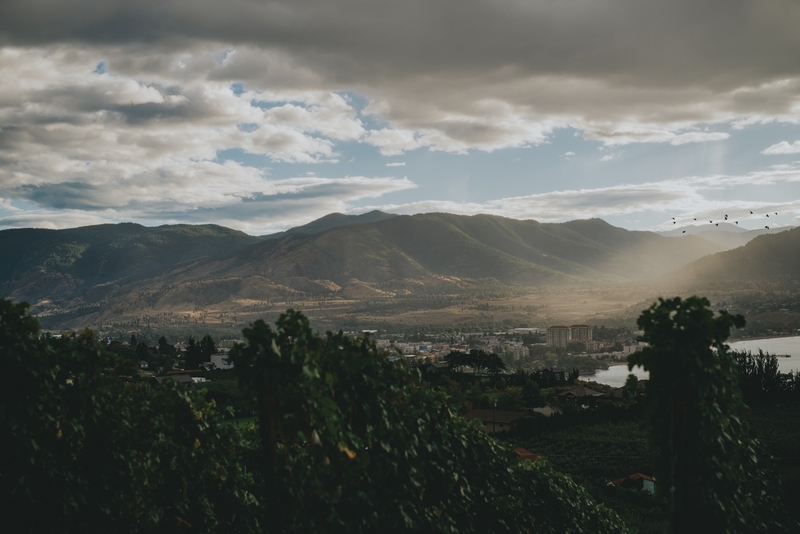 We had the mountains in the distance, over looking Okanagan lake, and surrounded by vineyards. 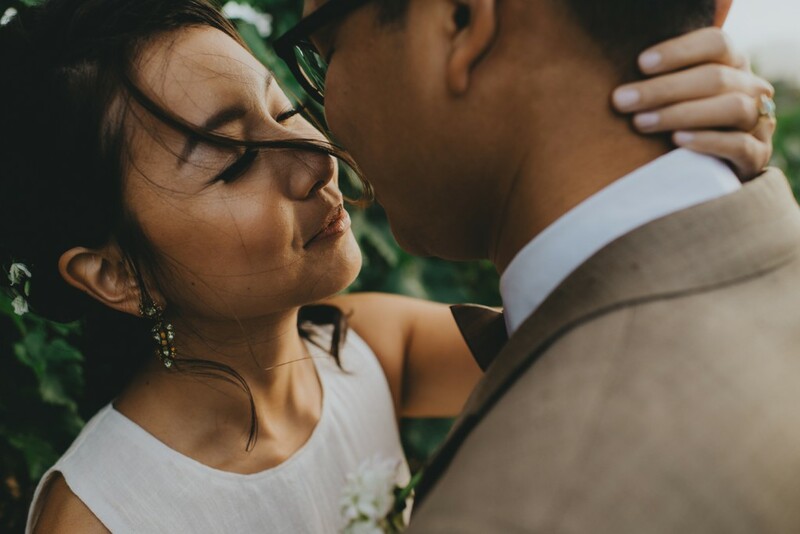 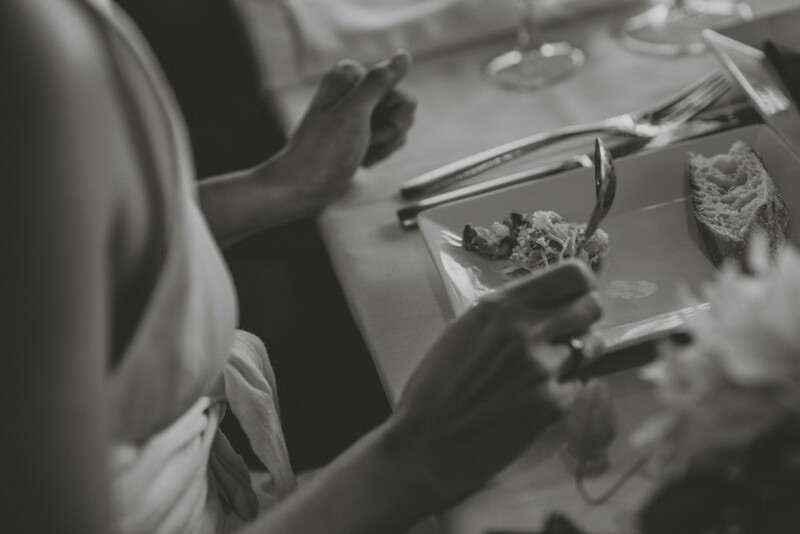 The scenes and moments that I was photographing truly had me feeling so grateful to be a wedding photographer. 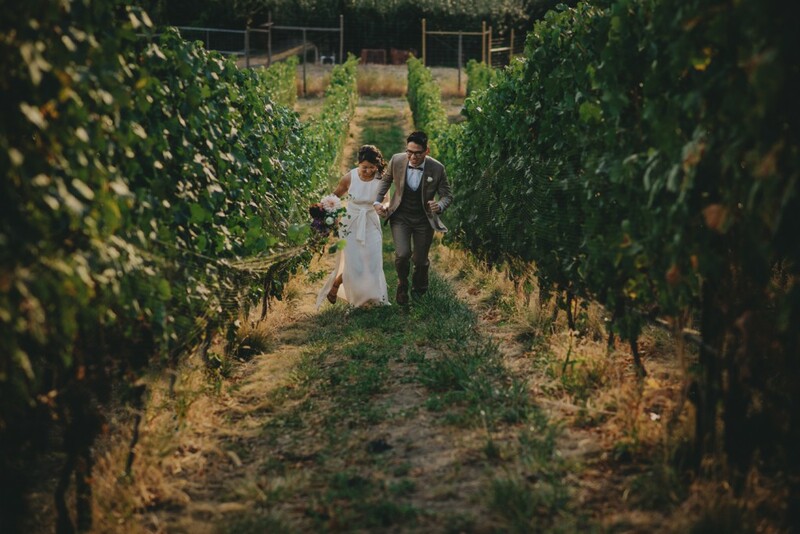 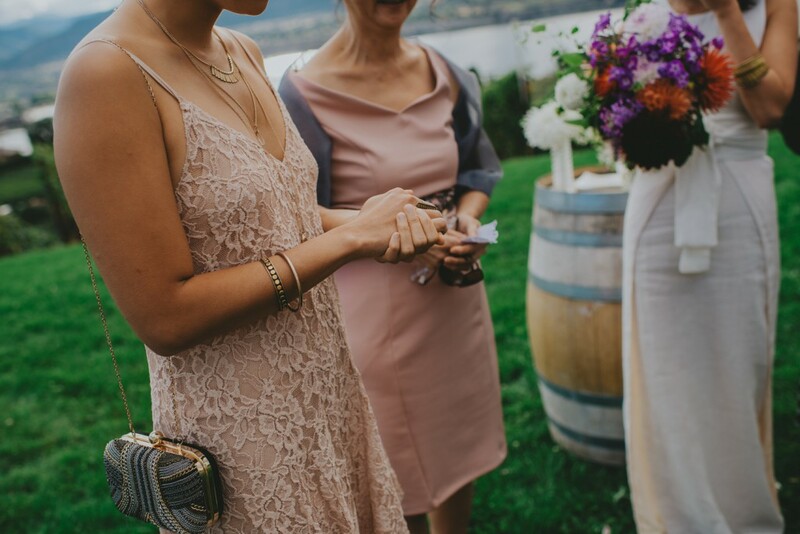 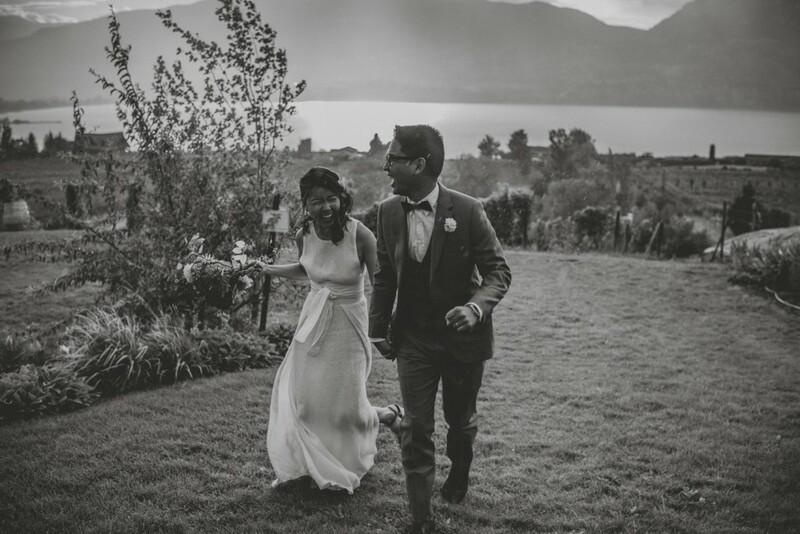 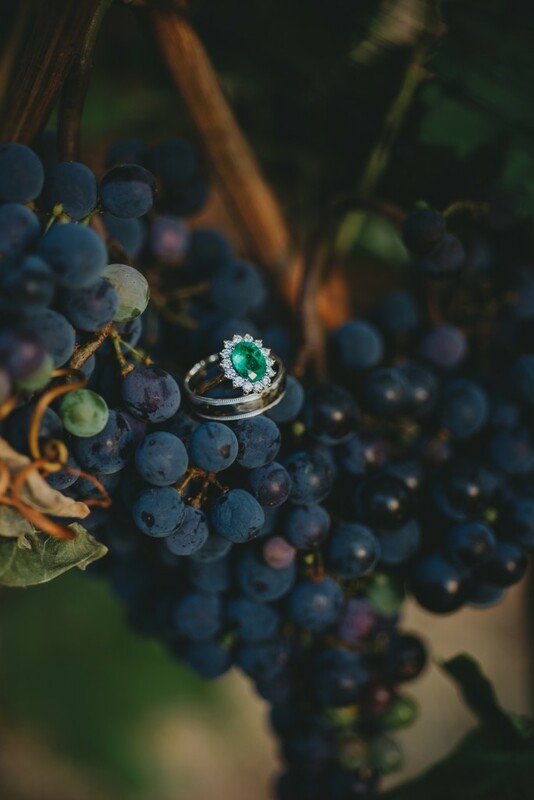 We then adventured around the winery excited on a newlywed love. 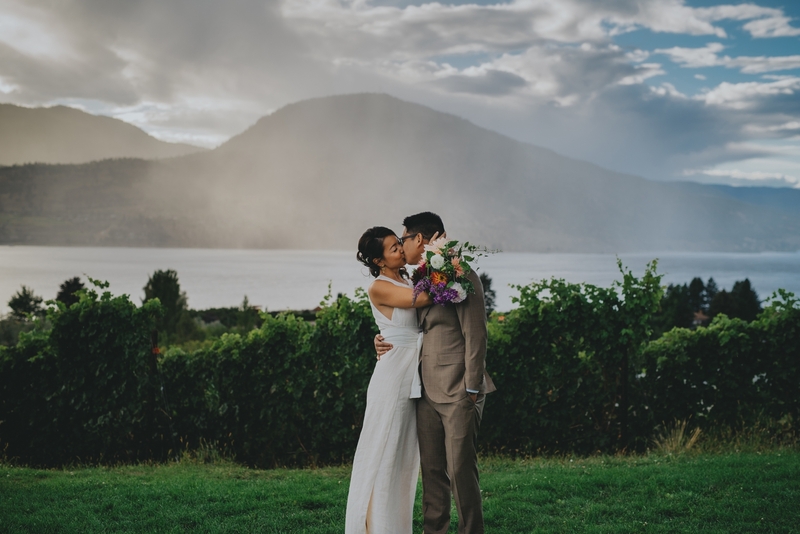 The next hour was perfect to say the least, even though we did have to run through a 5 minute rain storm. 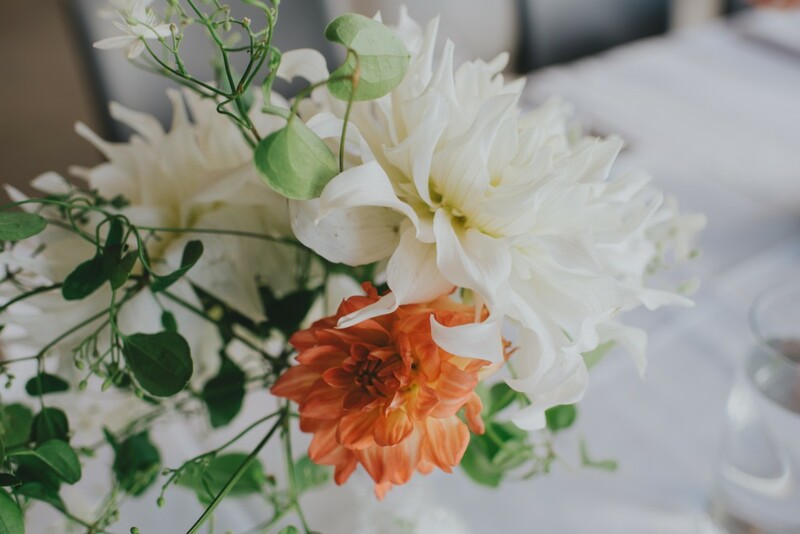 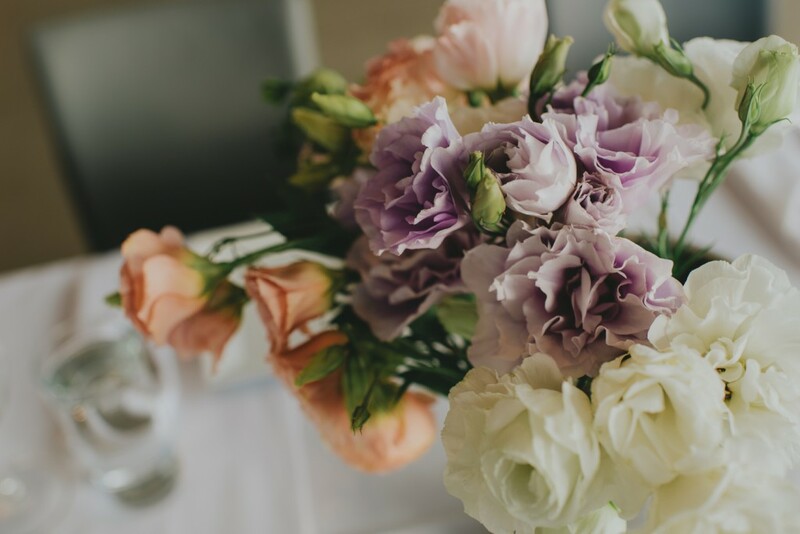 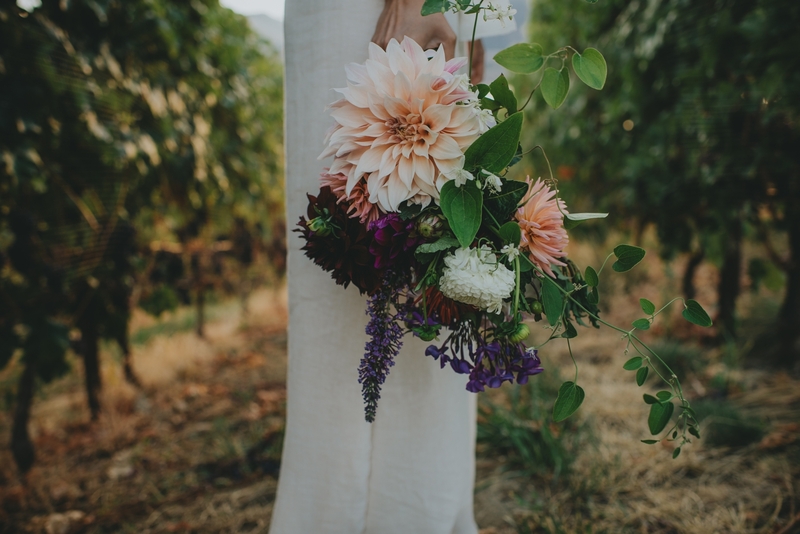 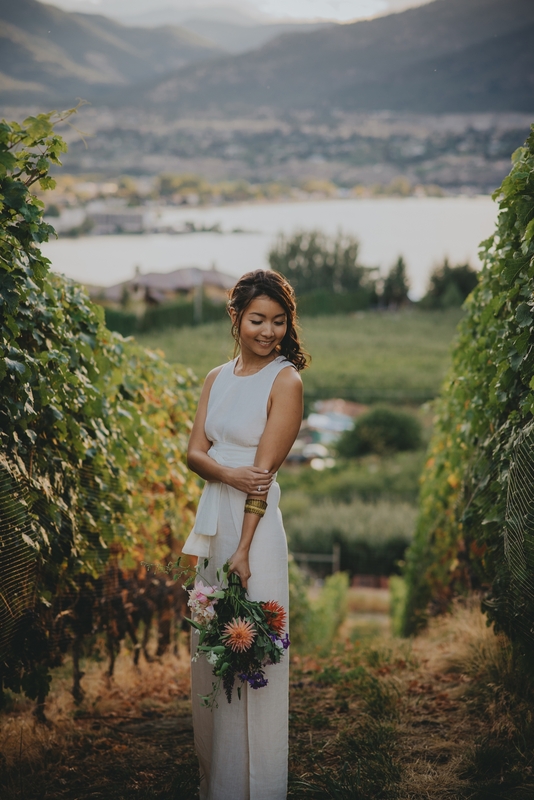 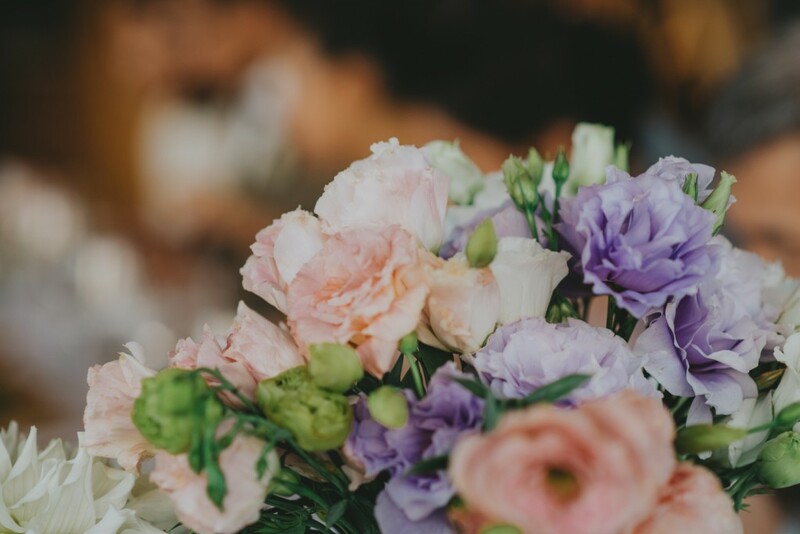 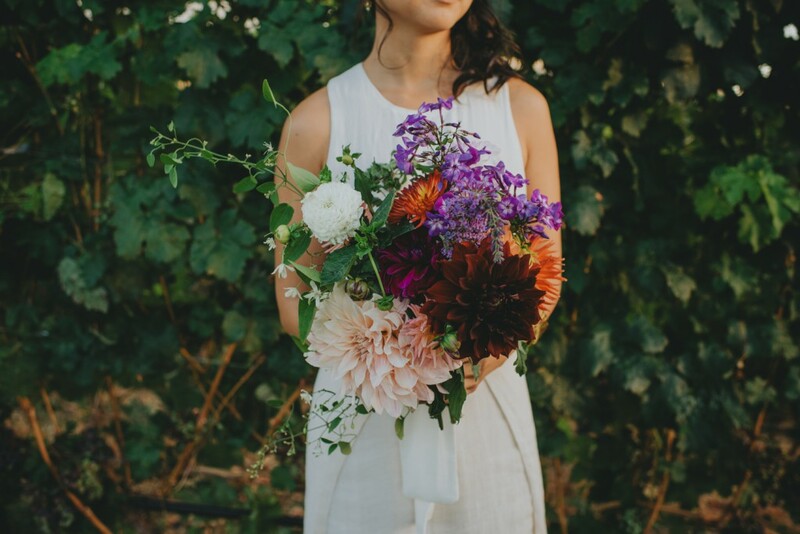 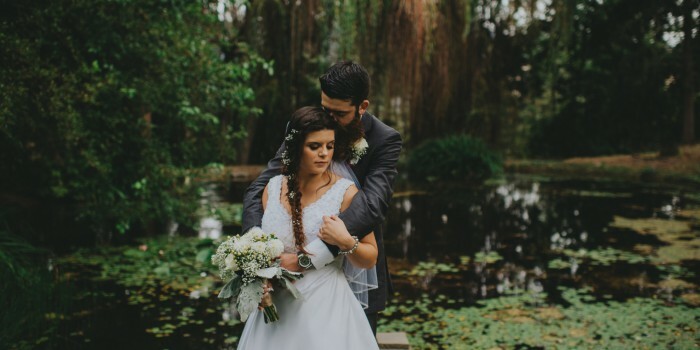 We really couldn’t have asked for more – from the hair & make up done perfectly, to one stellar bridal bouquet. 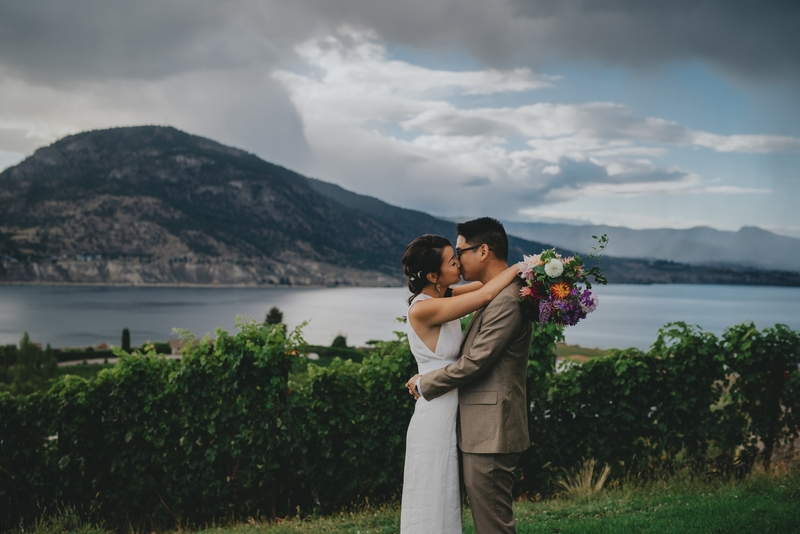 The sun started beaming through the storm clouds during their wedding and I chased light with these two until it was time to go inside for some drinks and delicious food. 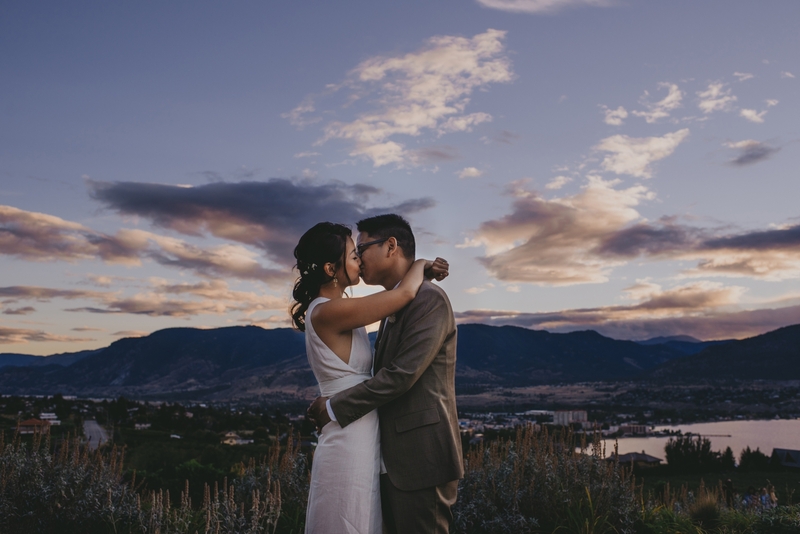 As I was about to leave, the sunset over the mountains filled the sky with purple and I had to steal them away from their dinner for a couple more photos! 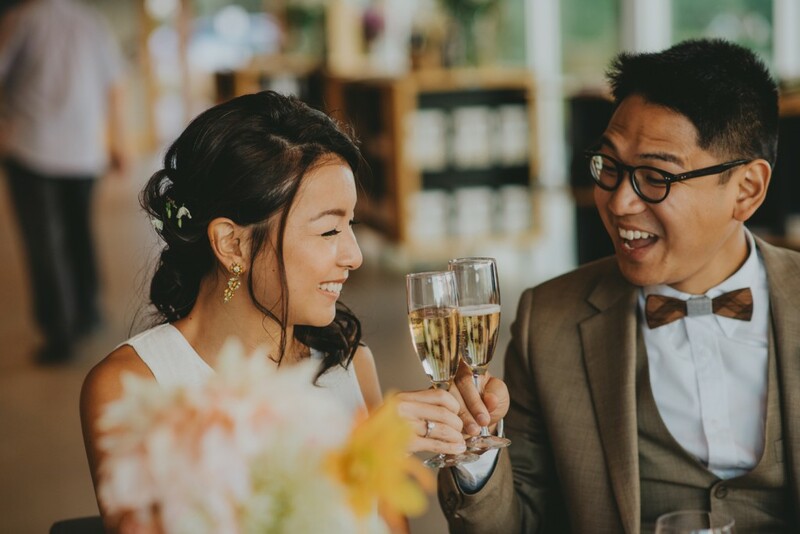 Jam and Iggy are currently on their honeymoon somewhere in Tokyo right now, so guys, I hope you’re having the absolute best time! 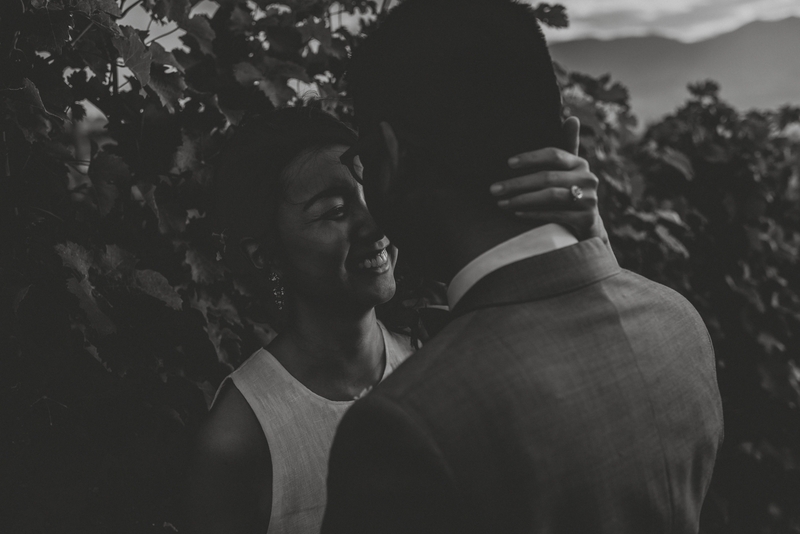 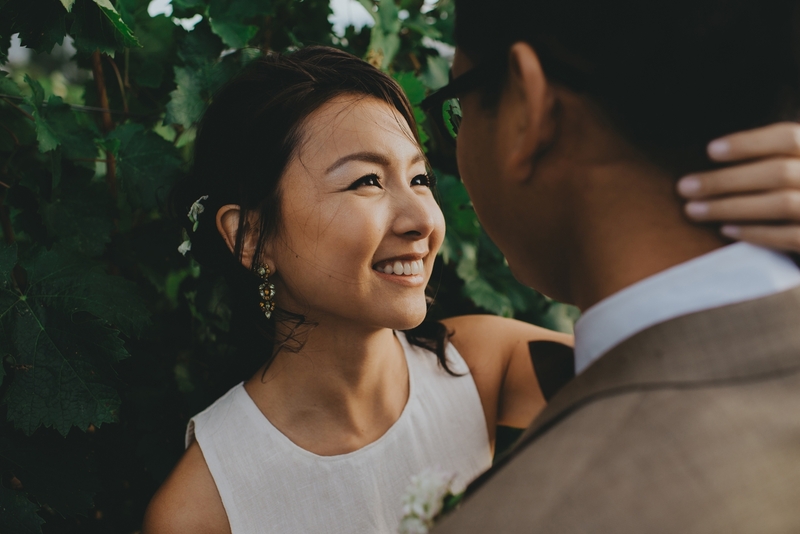 I feel so lucky to have met you both, let alone photograph your darling wedding day!